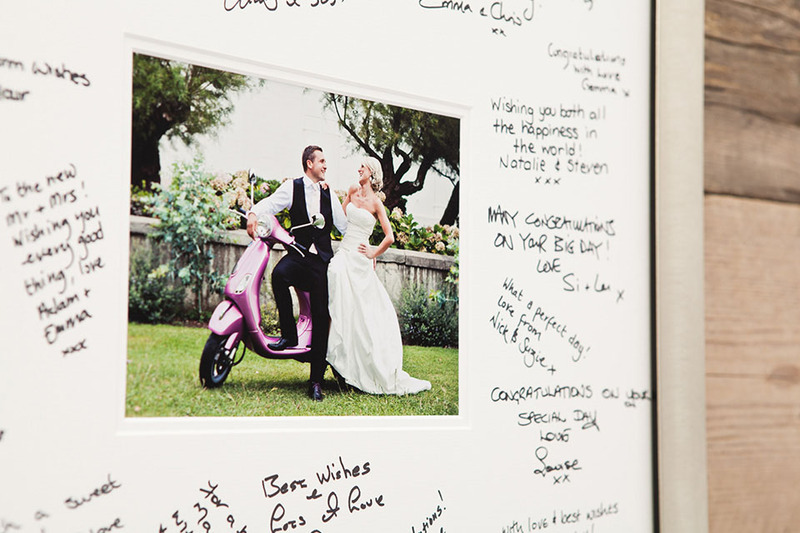 A creative look at the guest book. 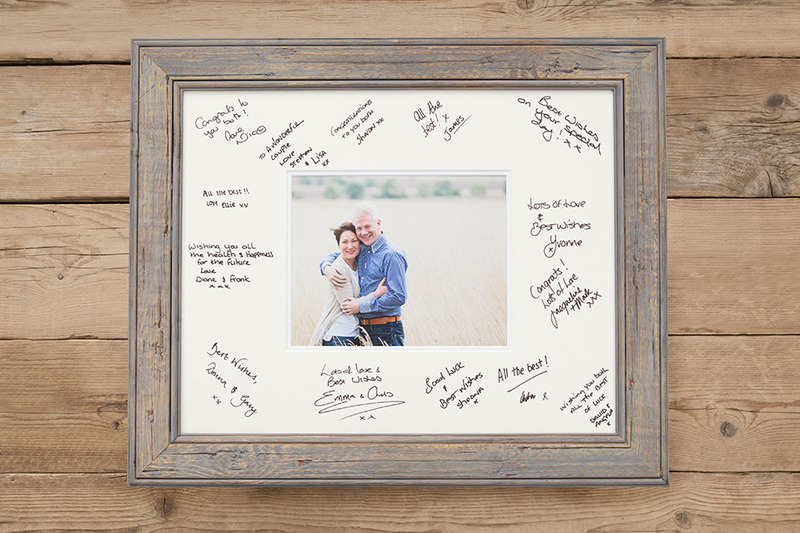 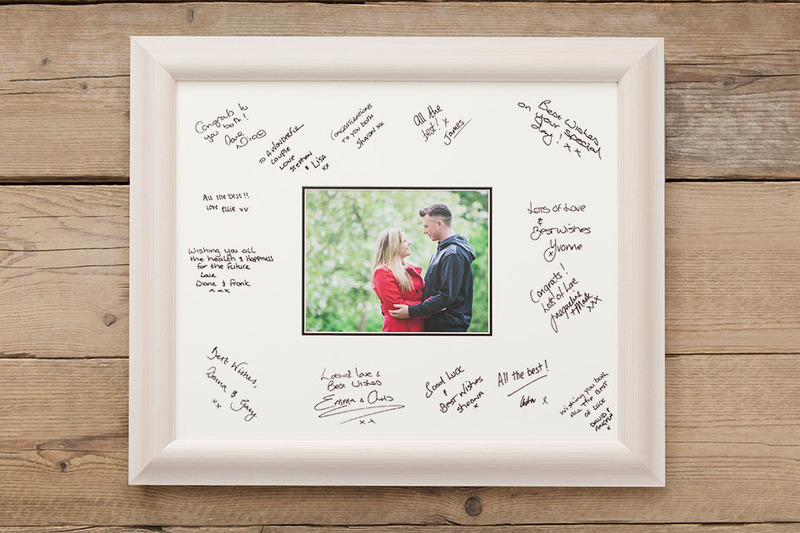 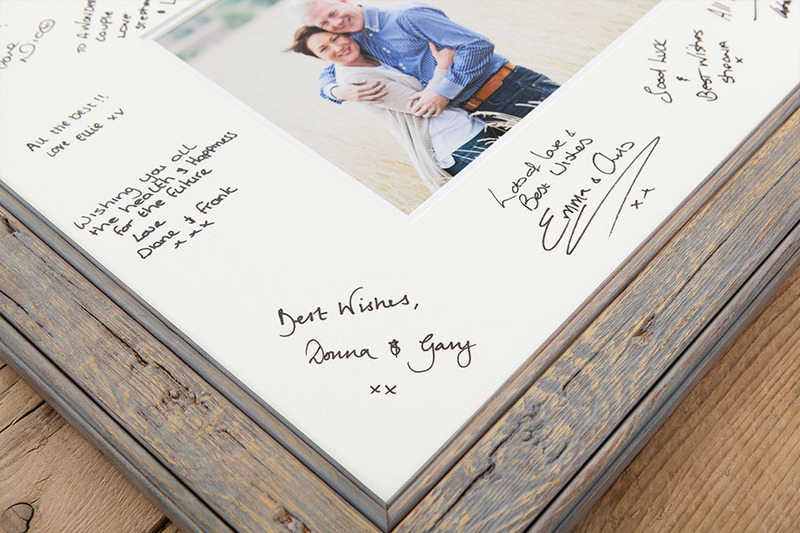 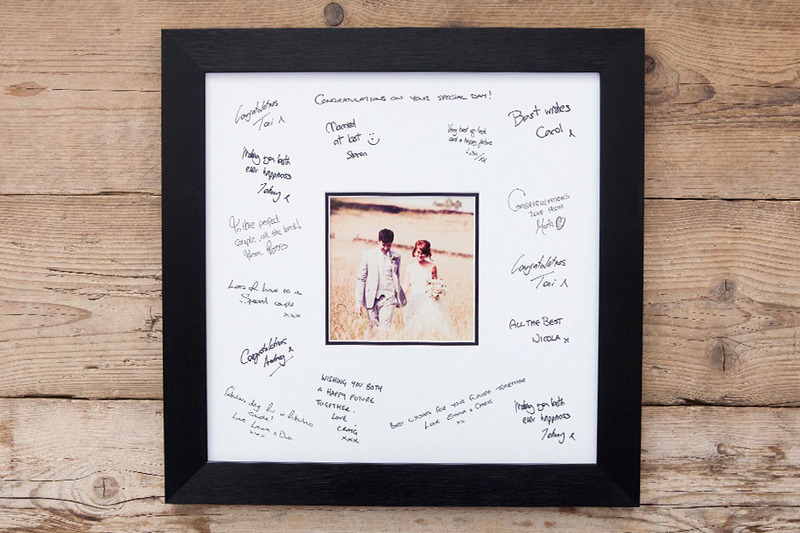 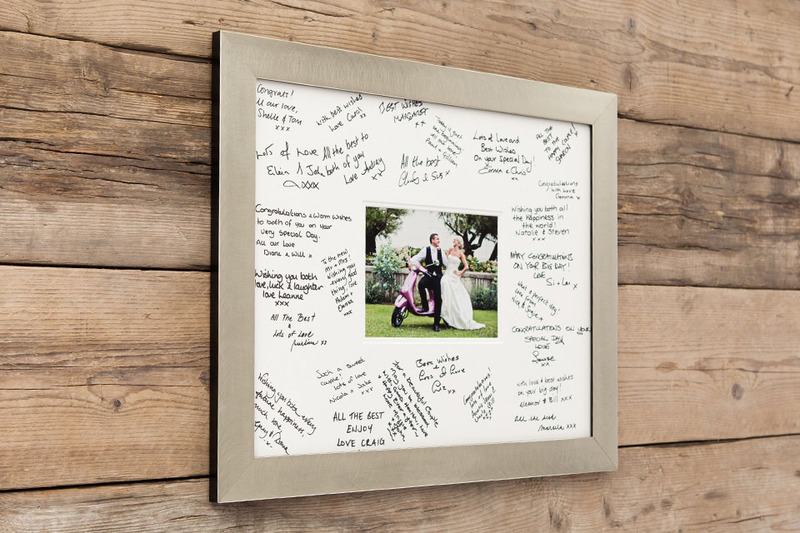 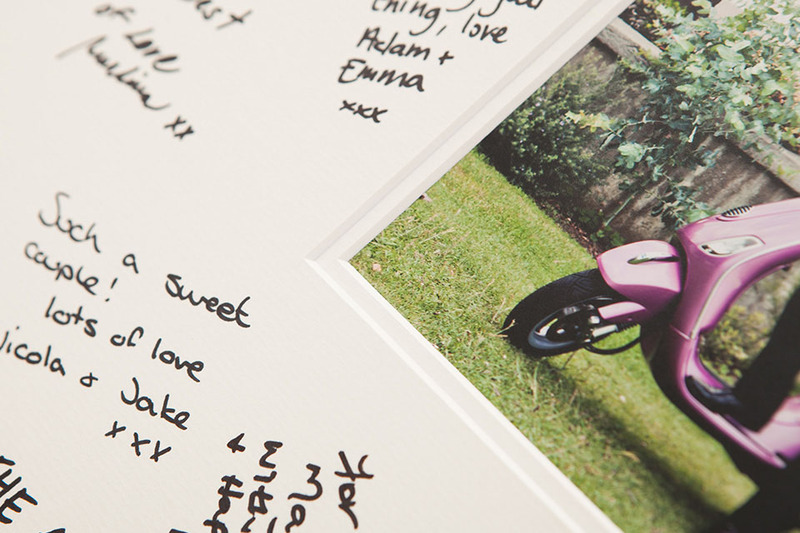 The Signing Frame is the perfect decorative piece that lets the bride and groom cherish the memories of their big day forever with personalised messages from their guests. 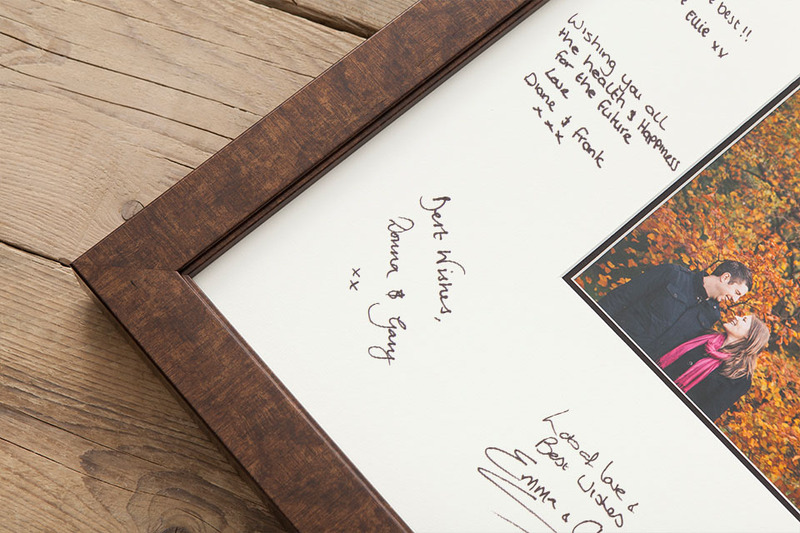 With a wide choice of exclusive moulding variations available, the Signing Frame offers an unmatched personal touch to treasure the memories that will last a lifetime. 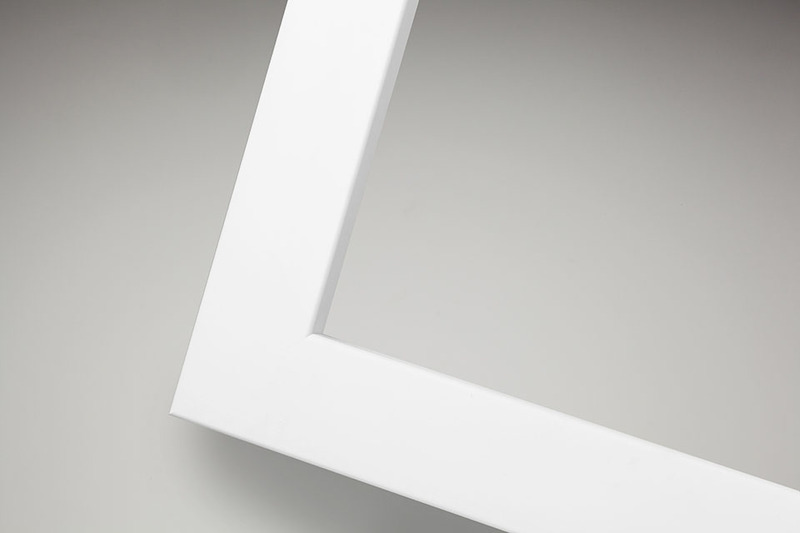 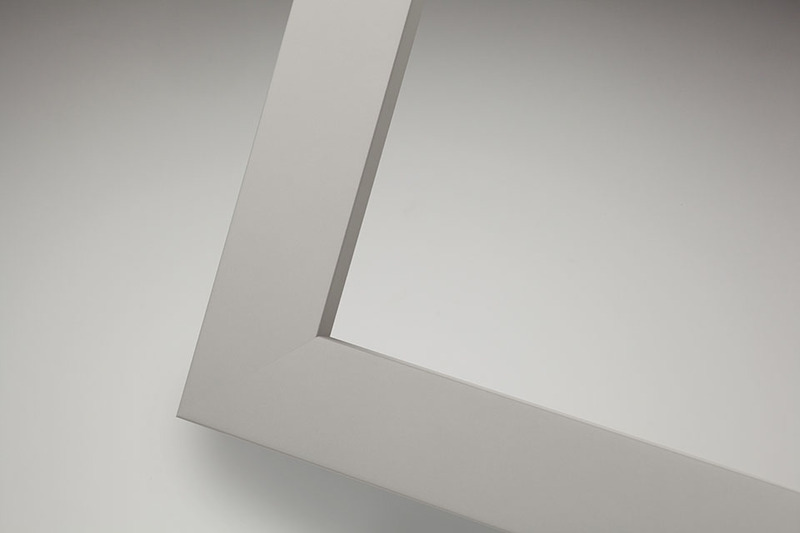 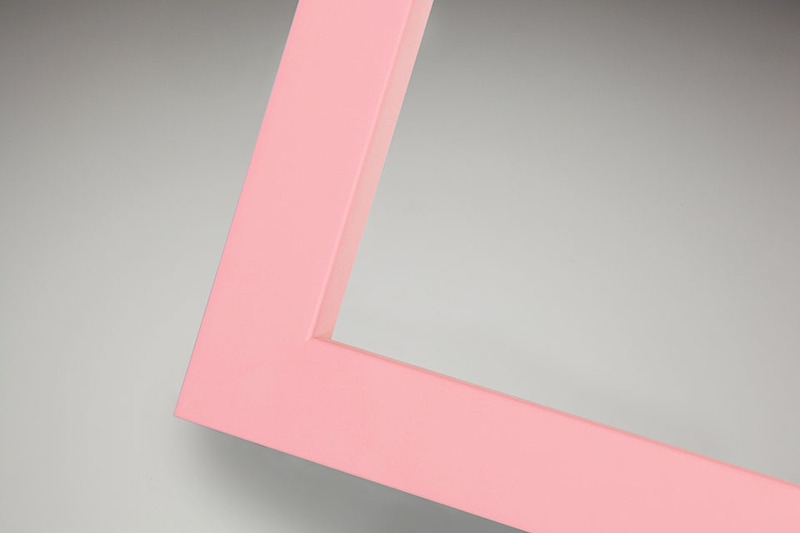 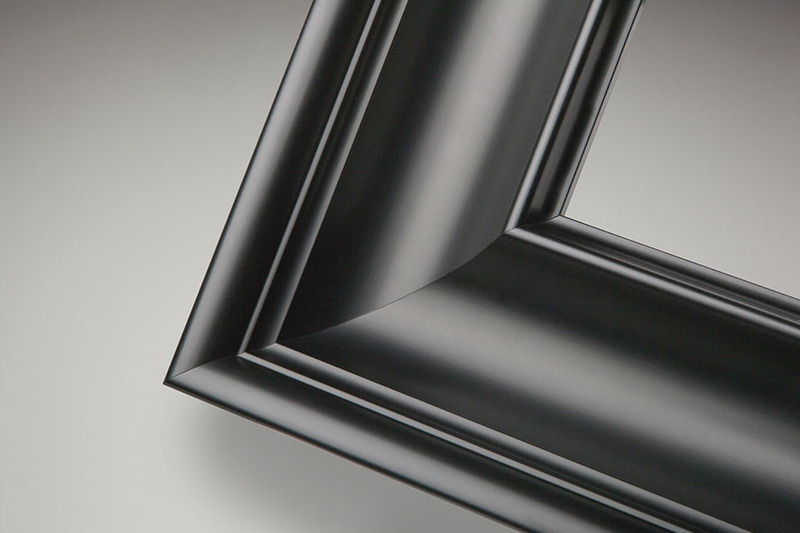 Moulding 16X16" 20x16" 20x20" 24"x20"
With a delicate inner frame lip, the 48mm (W) × 48mm (D) Frame 103 offers a choice of moulding colours that work with any photography. 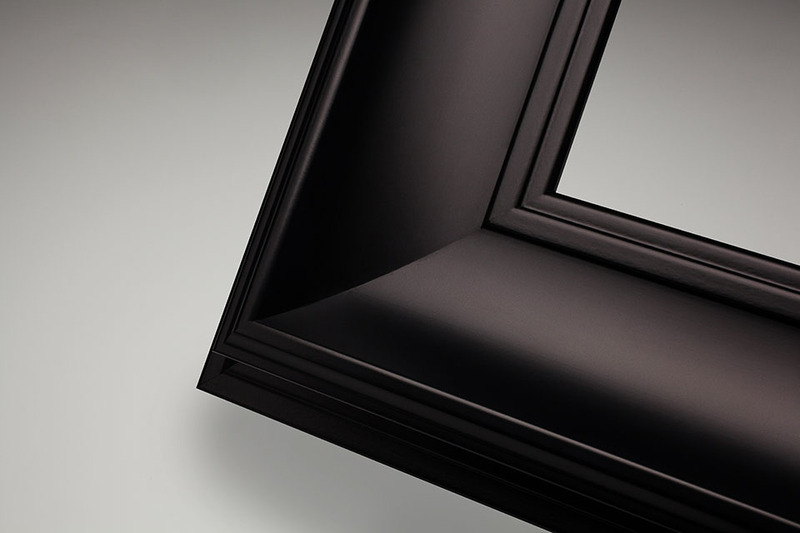 With endless appeal, the Buckingham moulding channels a definitive look through a small off-step and curved edge that cascades over the outer frame. 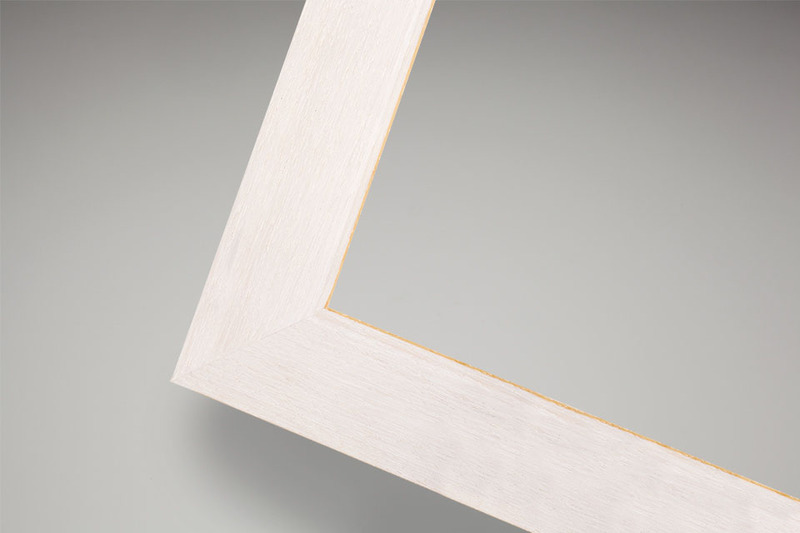 The 48mm (W) x 33mm (D) Buckingham frame comes in 4 colour finishes of pearl/grey, pearl/ivory, pearl/chestnut and pearl/charcoal. Add a touch of glamour to wall mounted photography with a choice of rich metallic colours in a robust 37mm (W) × 25mm (D) wooden based frame. 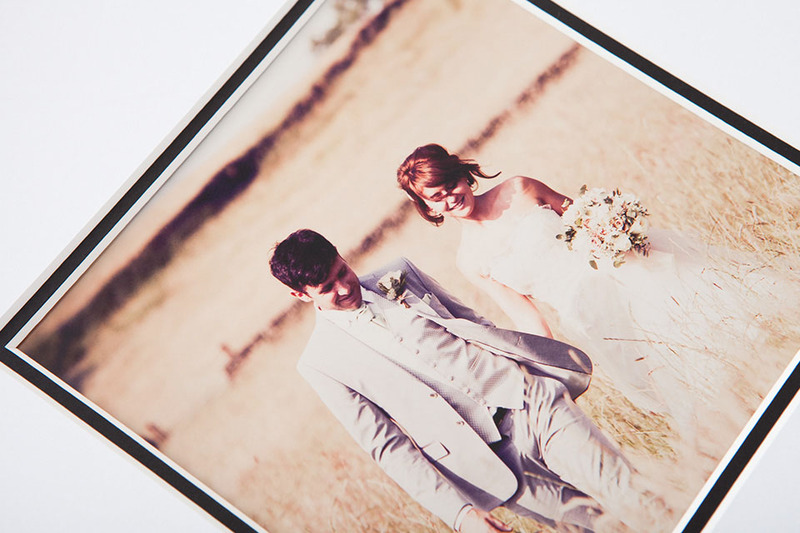 Create a contemporary look with a choice of six colours of 54mm (W) × 26 mm (D) frame that perfectly complement all styles of photography. 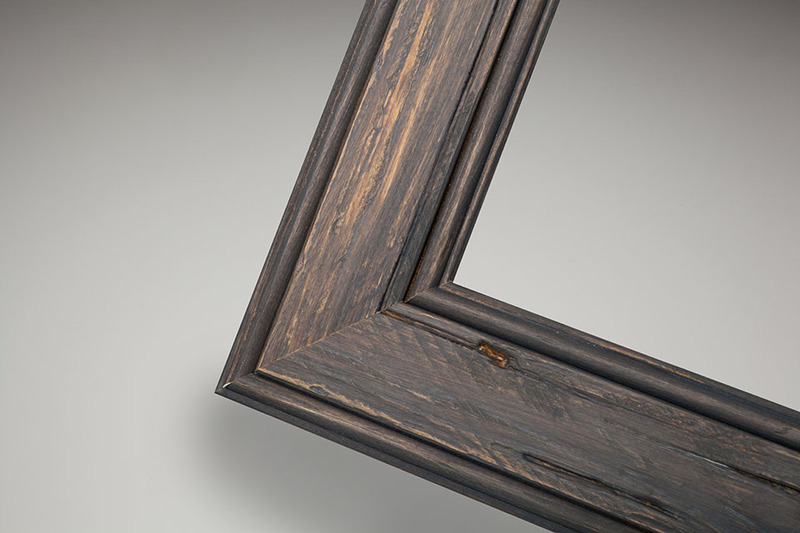 A bold frame with a single step bevel that will command presence on any wall, the Casa moulding offers rich texture in its grained wood finish. 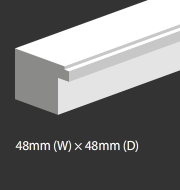 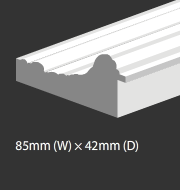 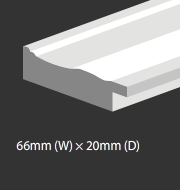 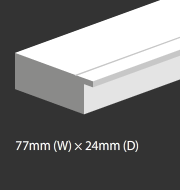 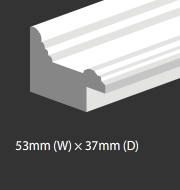 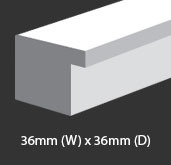 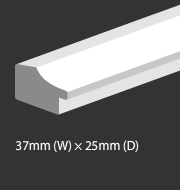 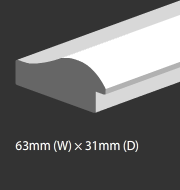 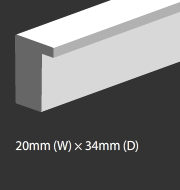 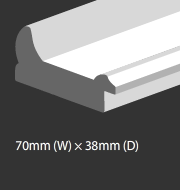 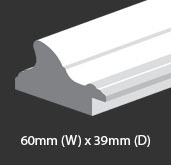 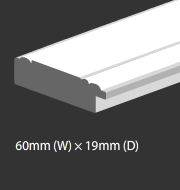 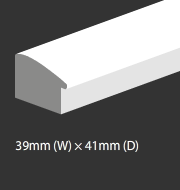 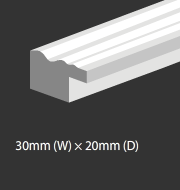 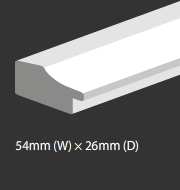 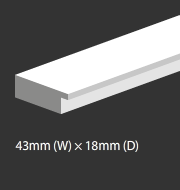 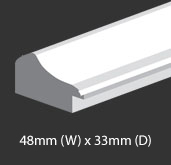 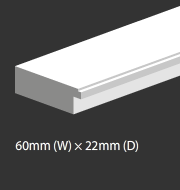 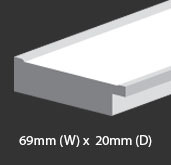 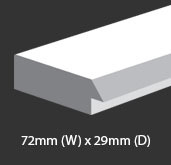 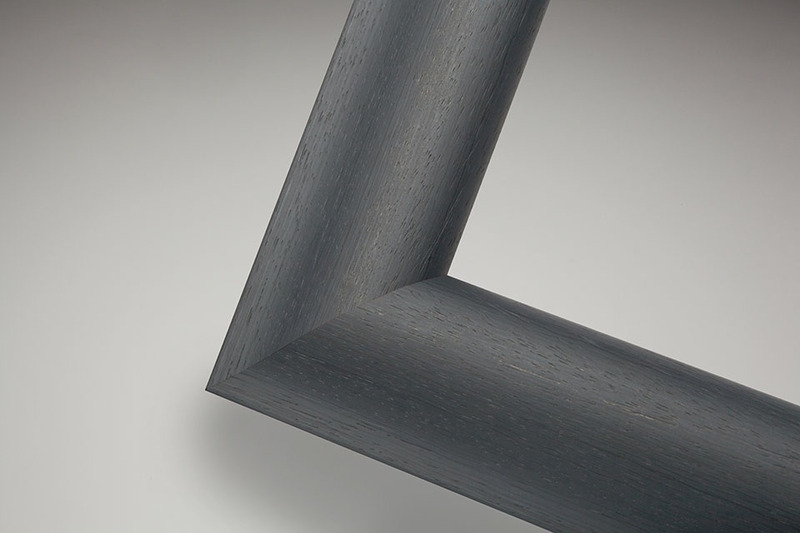 The 72mm (W) x 29mm (D) Casa Moulding is available in 3 finishes of whitewash, dark almond and charcoal. 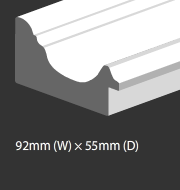 The following moulding options are available. 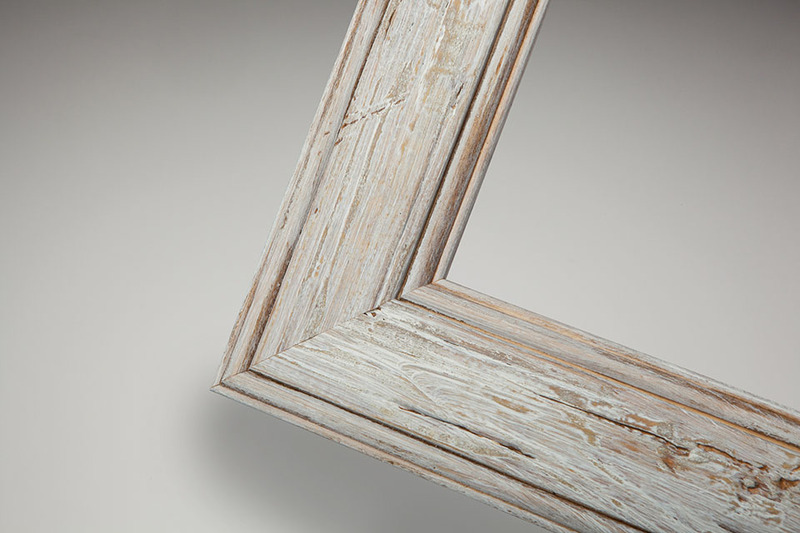 Add a touch of beachside beauty with the Coastal frame. 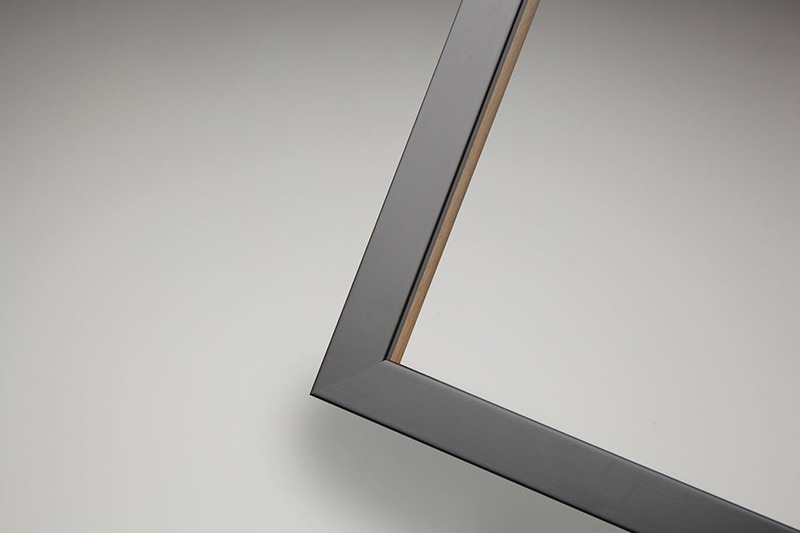 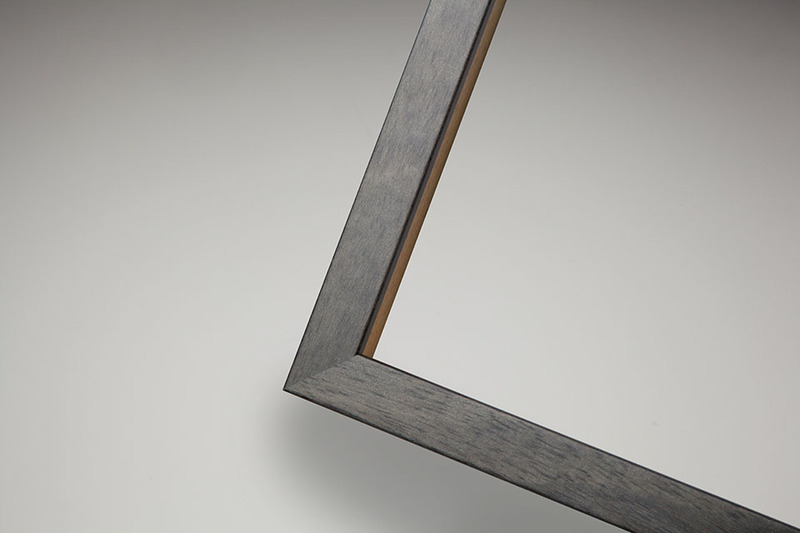 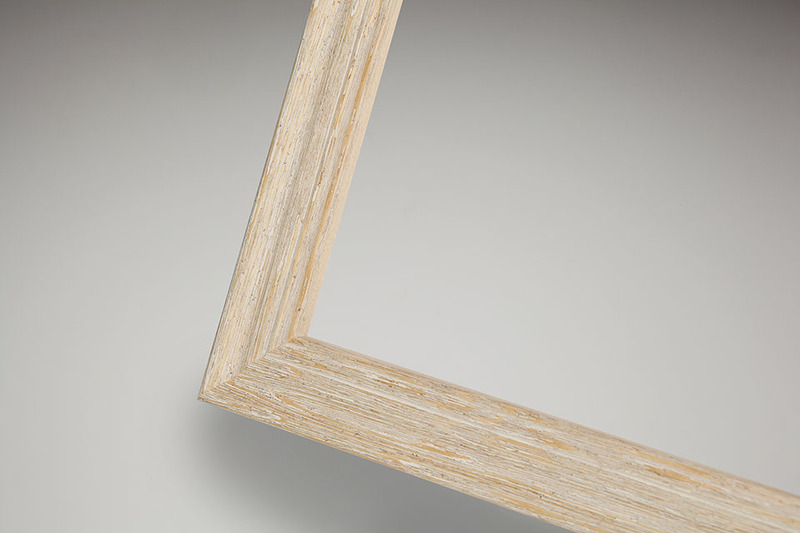 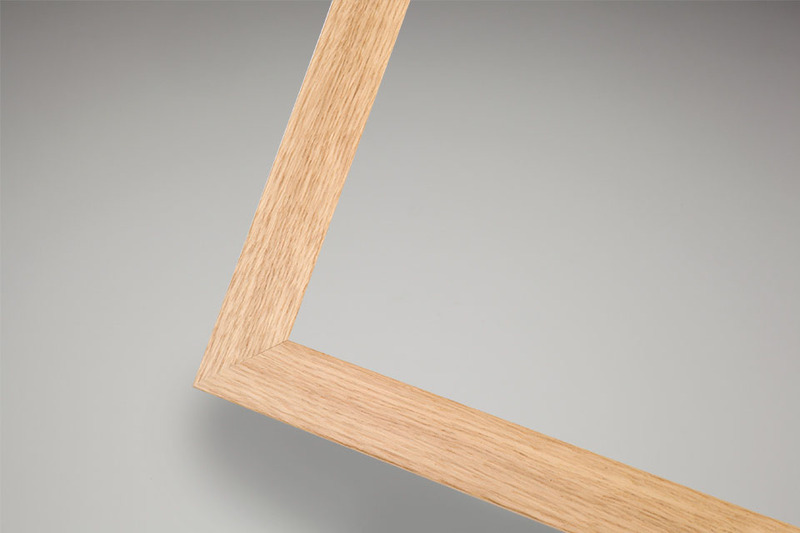 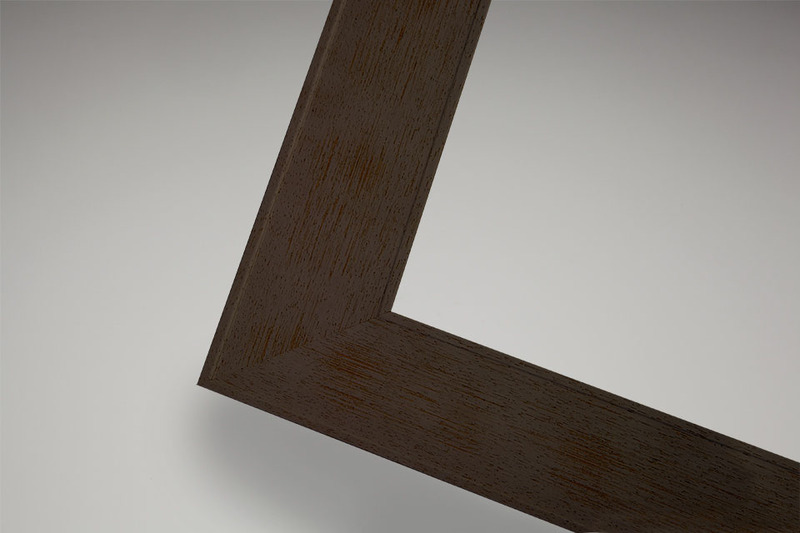 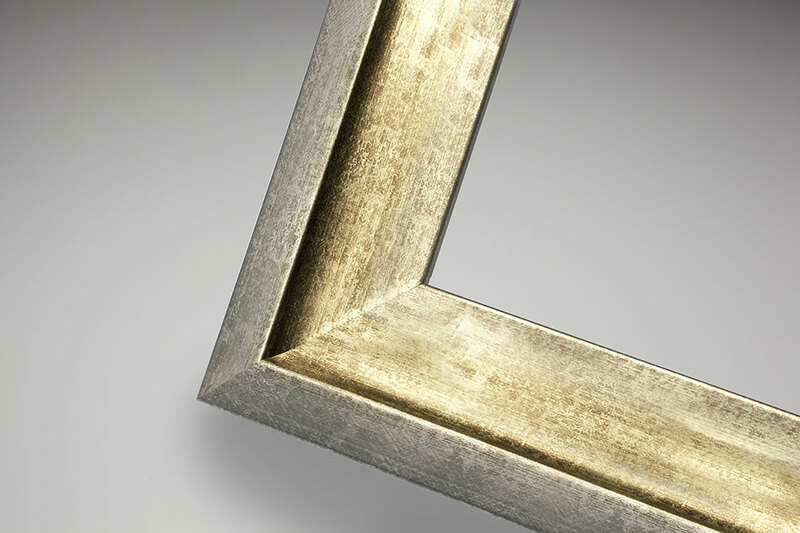 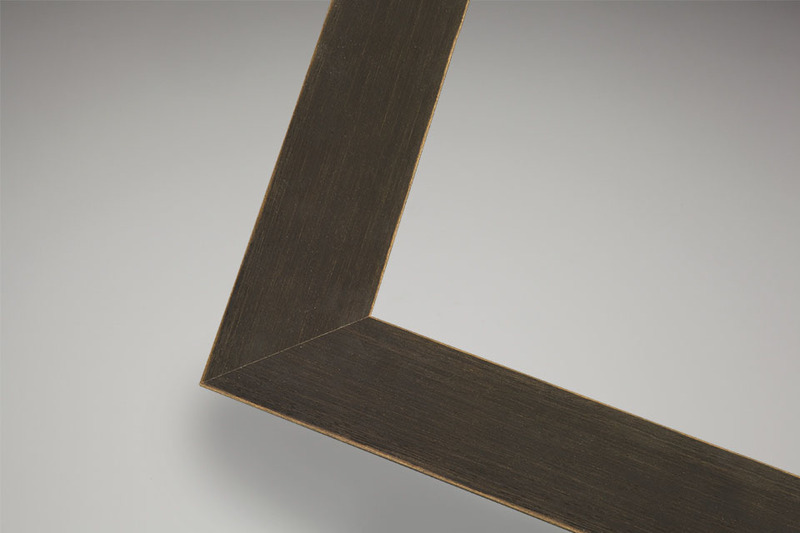 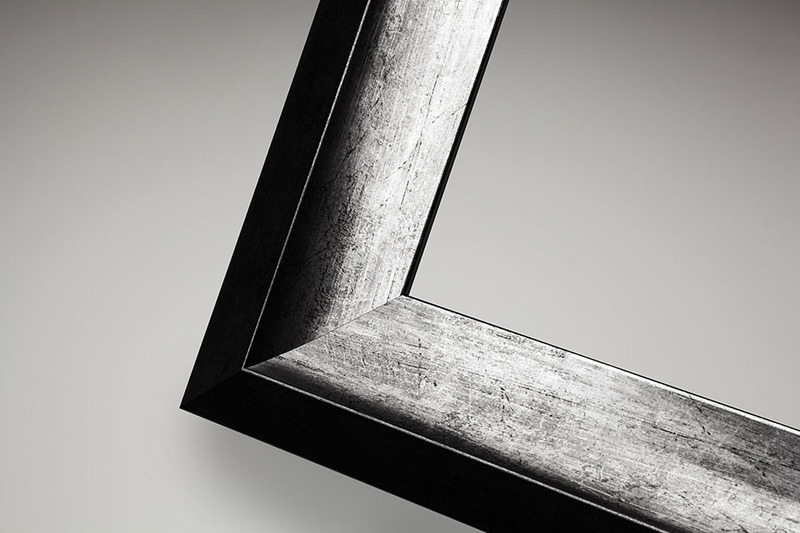 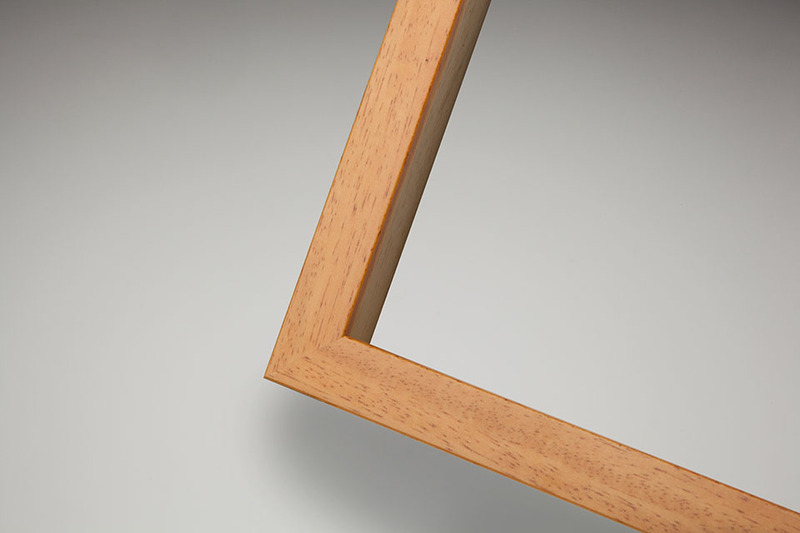 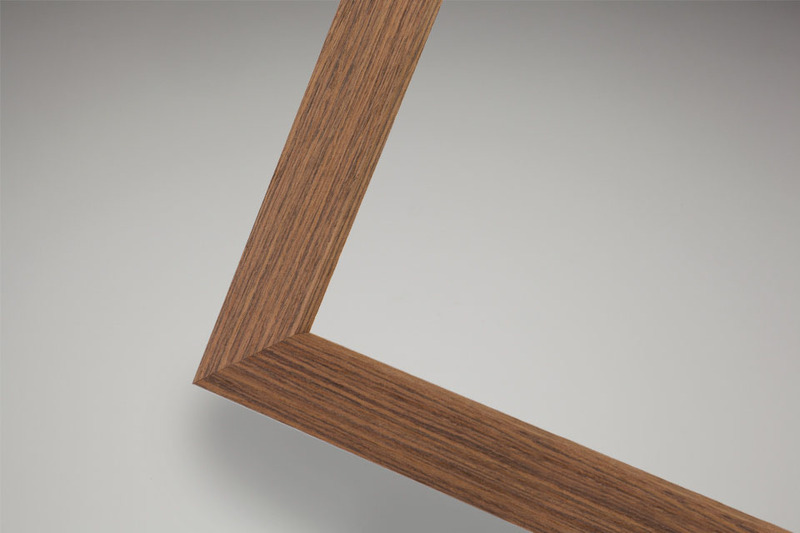 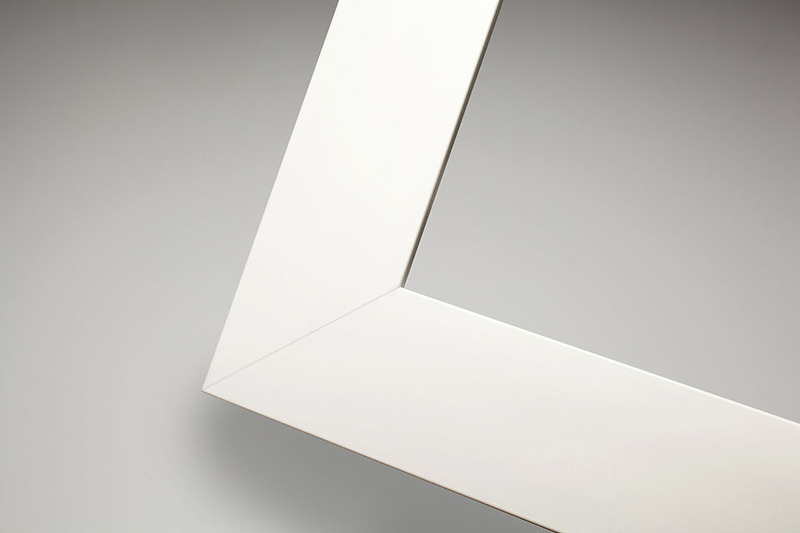 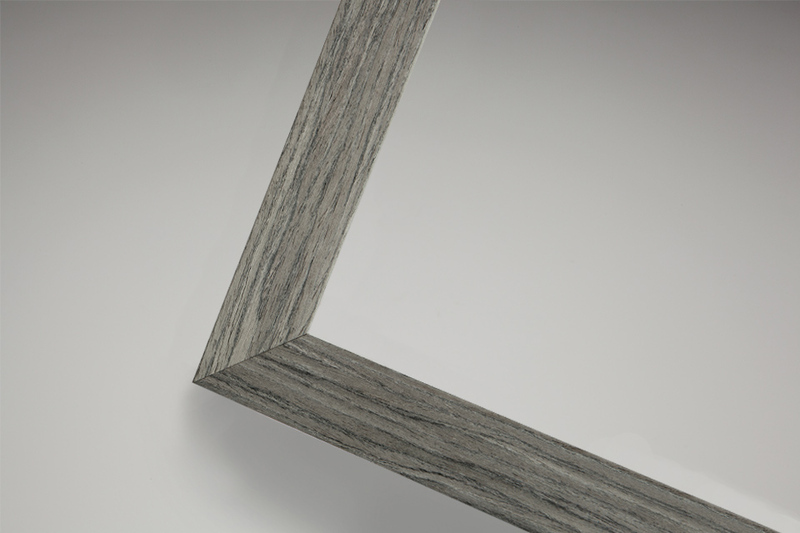 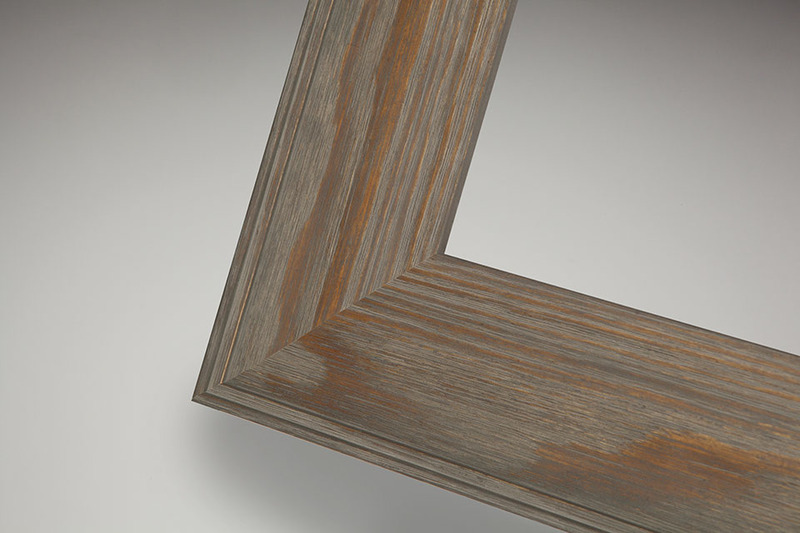 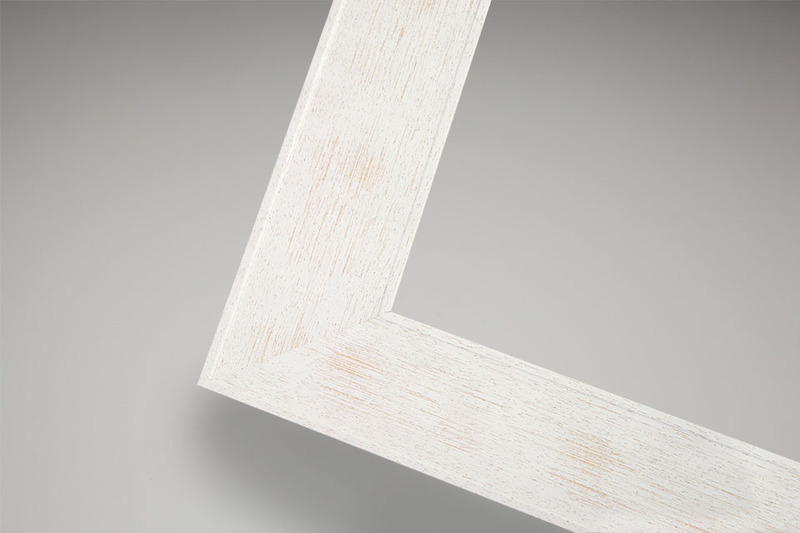 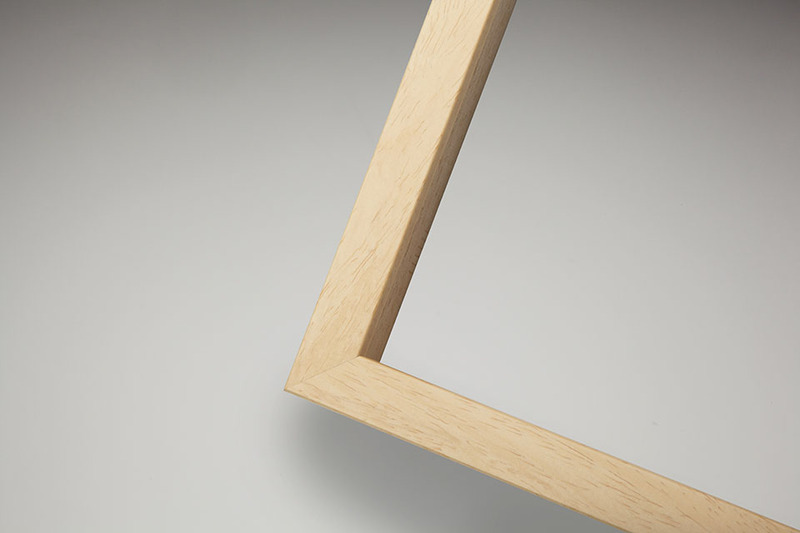 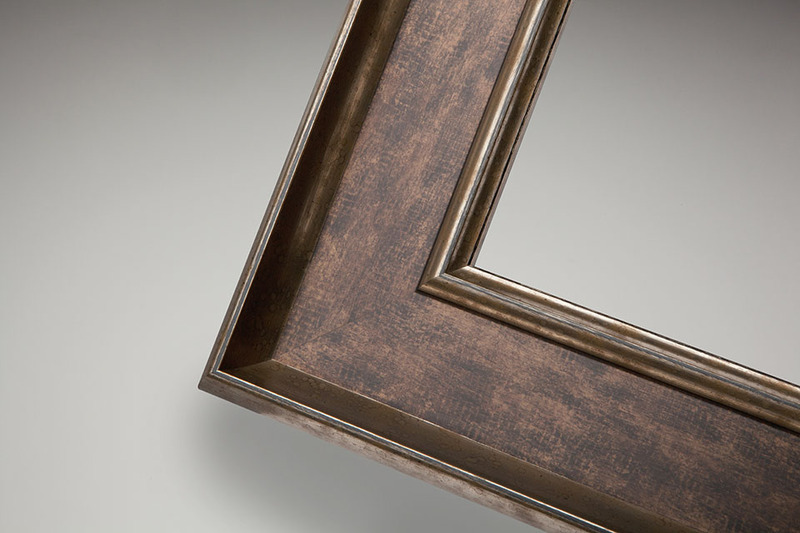 This 60mm x 19mm rustic frame is available in four stylishly subtle colour options. 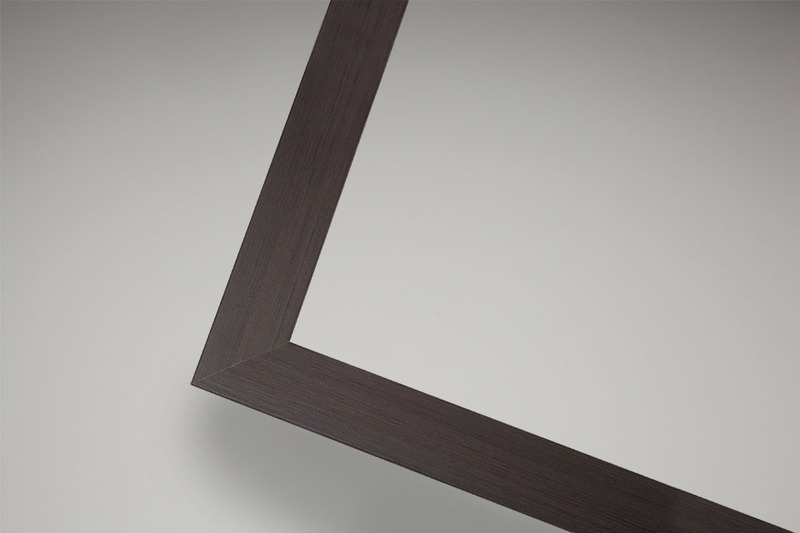 Complete your package with a coordinating desk frame. 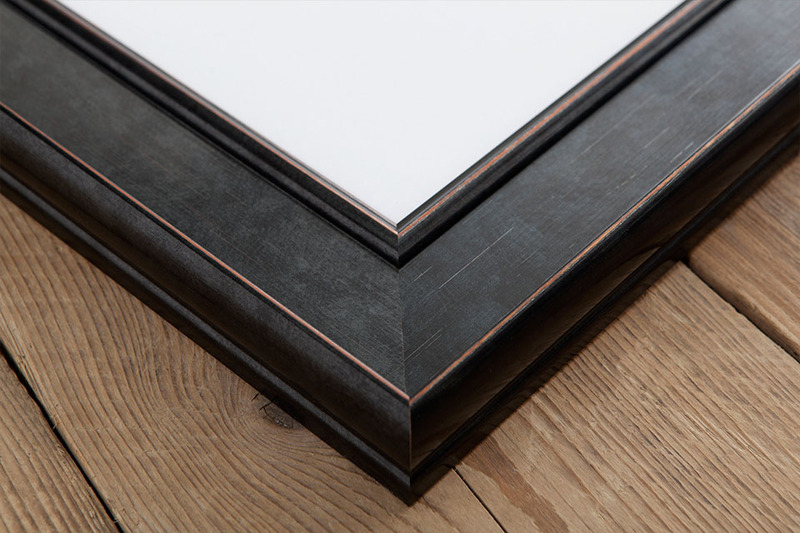 Choose contemporary elegance with a delicately contoured 63mm x 31mm wood based frame, available in a choice of three colour wash finishes. Complete the look with matching desk frame. 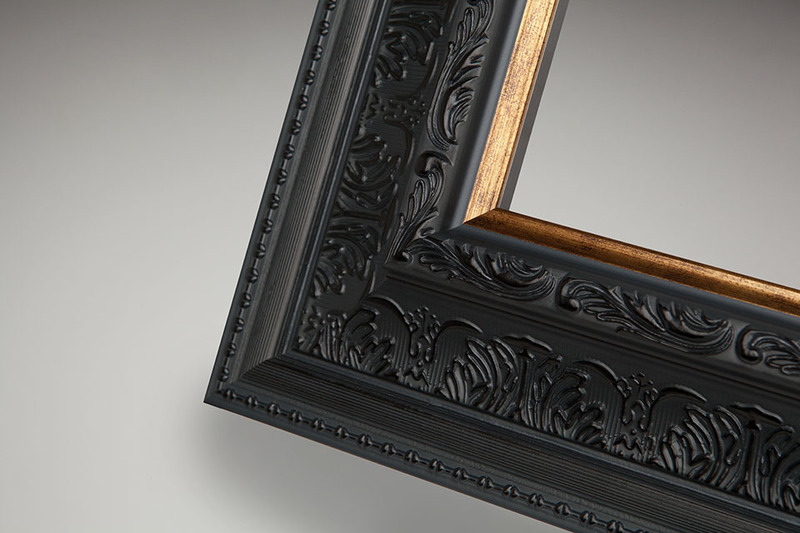 Choose from bright white or sleek black and make a statement with a regal frame that commands attention. 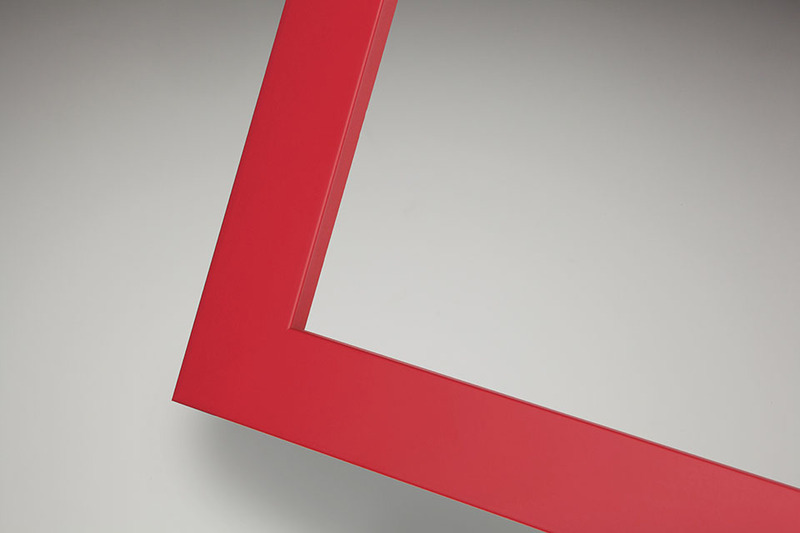 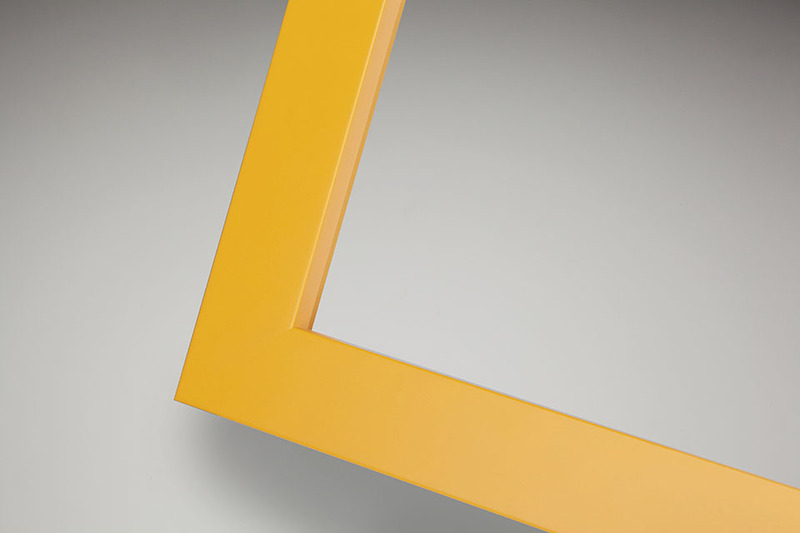 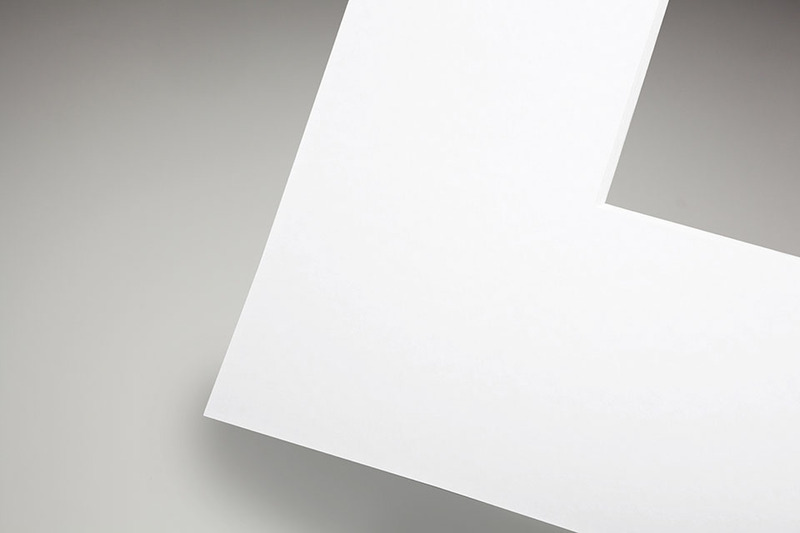 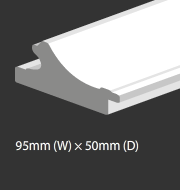 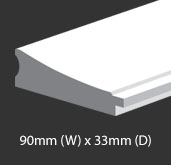 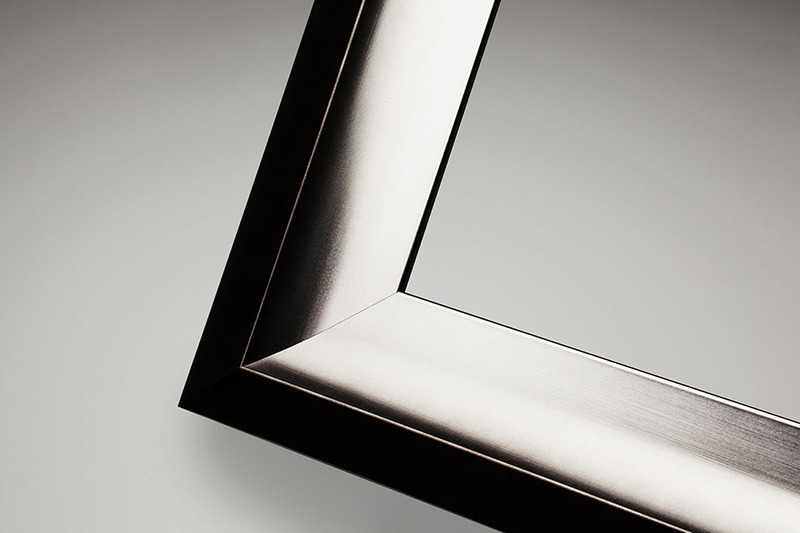 At 95mm (W) × 50mm (D), this substantial frame is perfect for impressive wall displays. 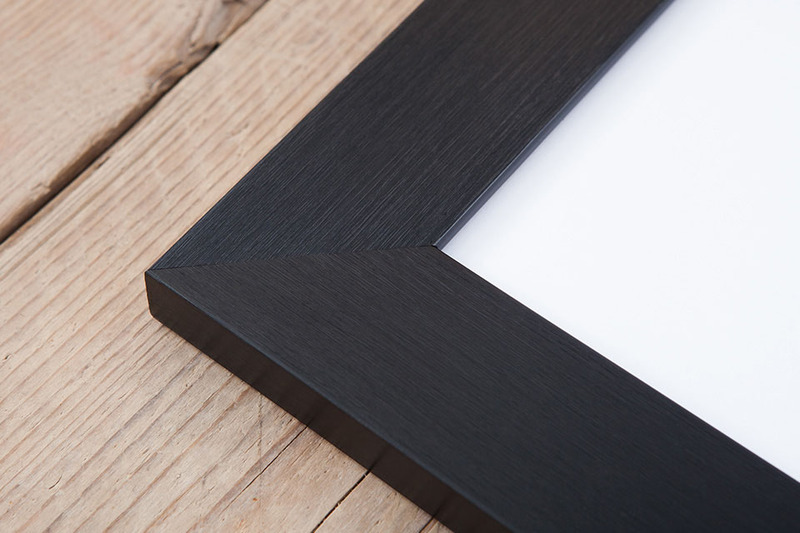 Relive the elegance of 30s style with this elegant, yet dramatic 92mm x 55mm vintage style pine wood based from available in black or white. 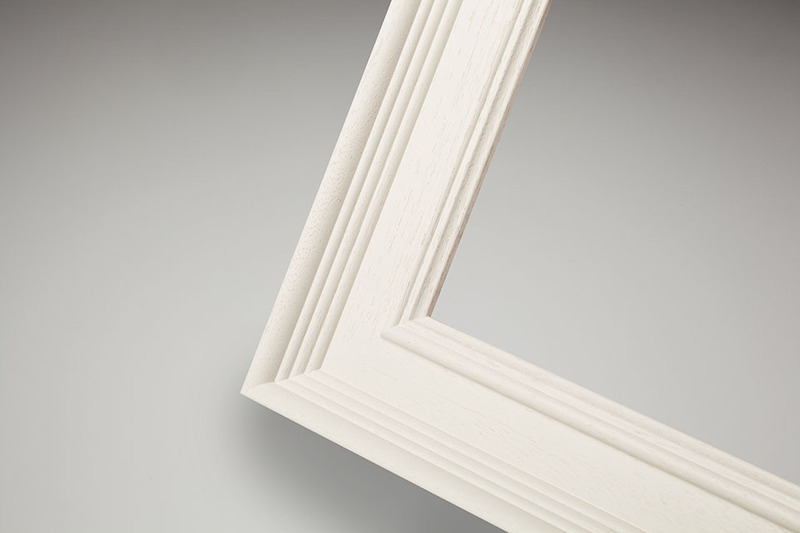 The Harbour moulding combines a smooth finish with a subtle wood grain effect that expresses a clean and sophisticated look. 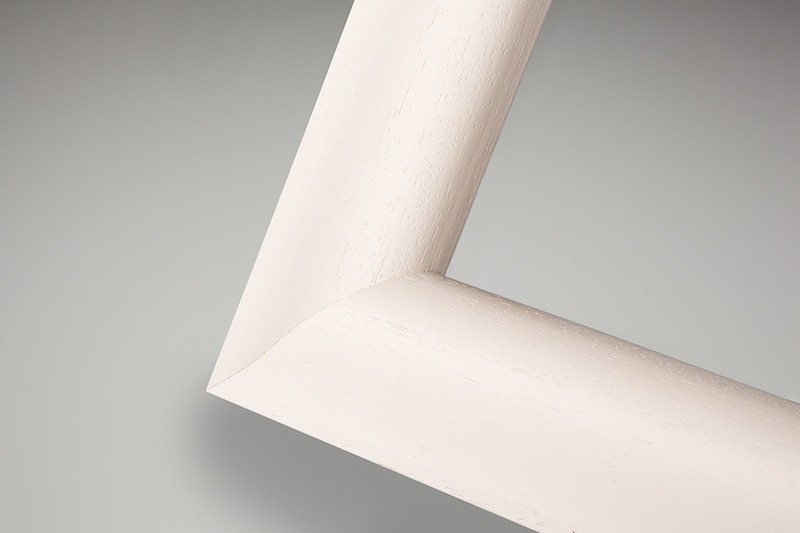 The 69mm (W) x 20mm (D) Harbour Frame comes in 2 select colours of whitewash and dark espresso. Add distinguished style with this 52 mm (W) x 37 mm (D) elegant wooden vintage style frame. 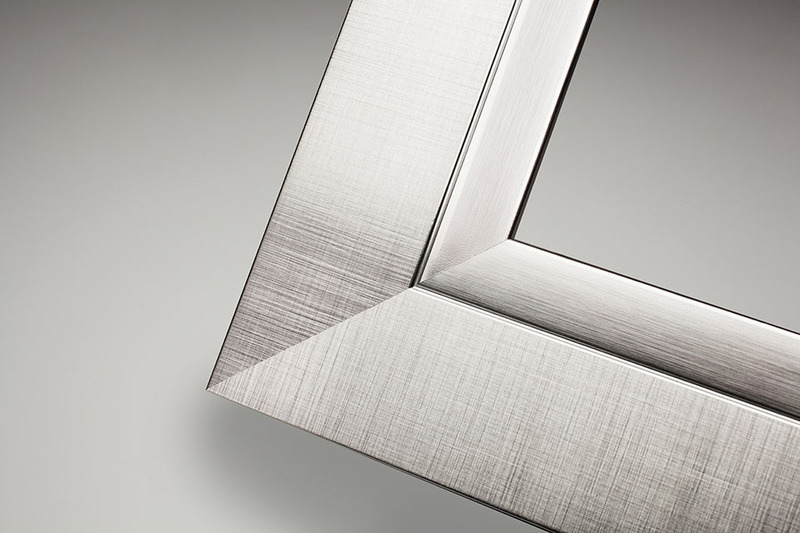 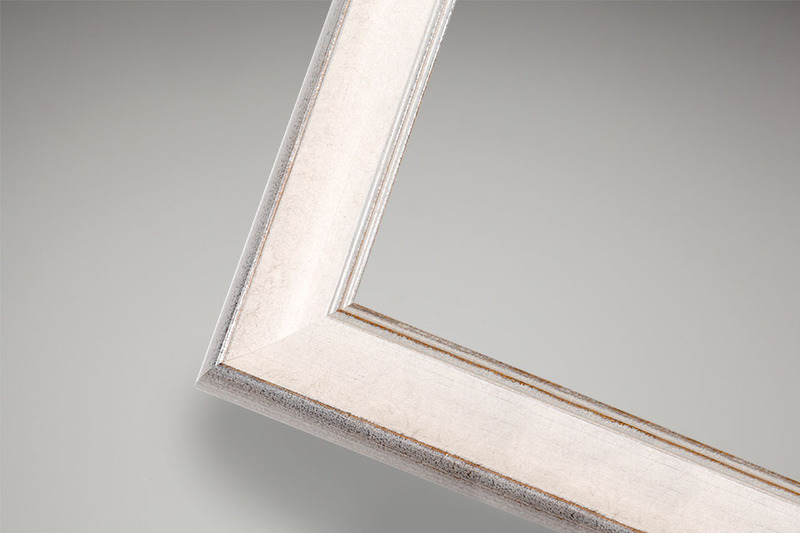 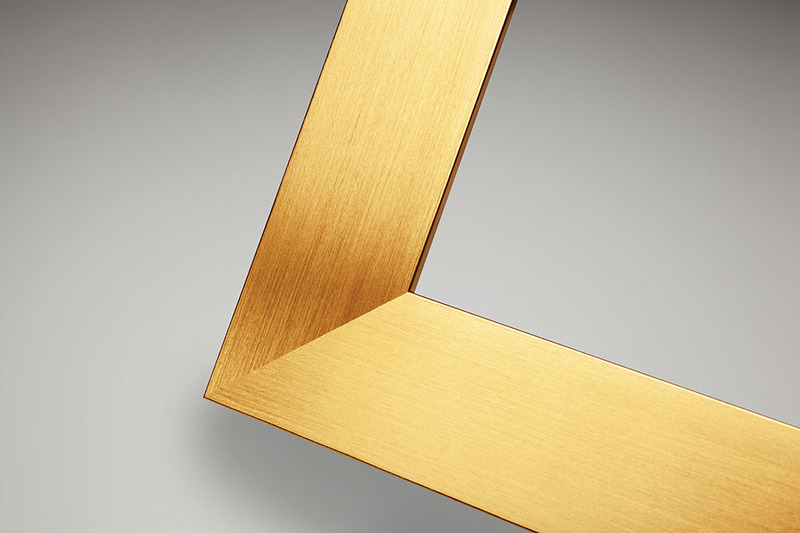 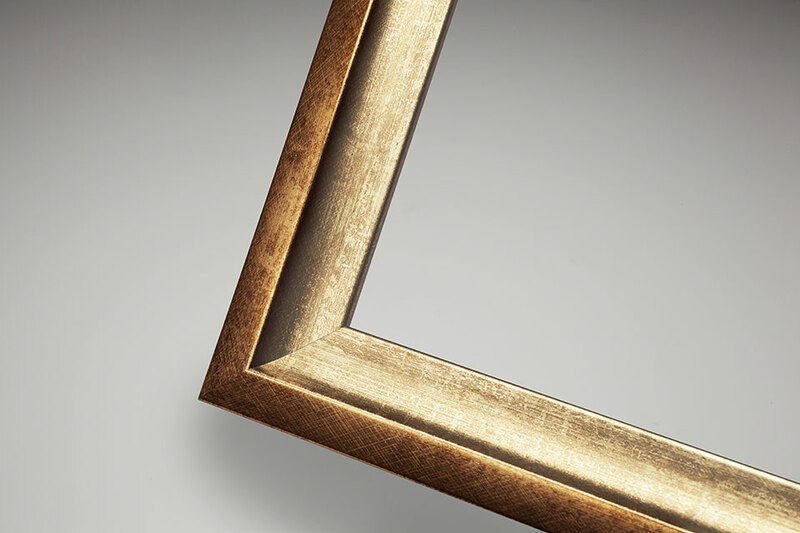 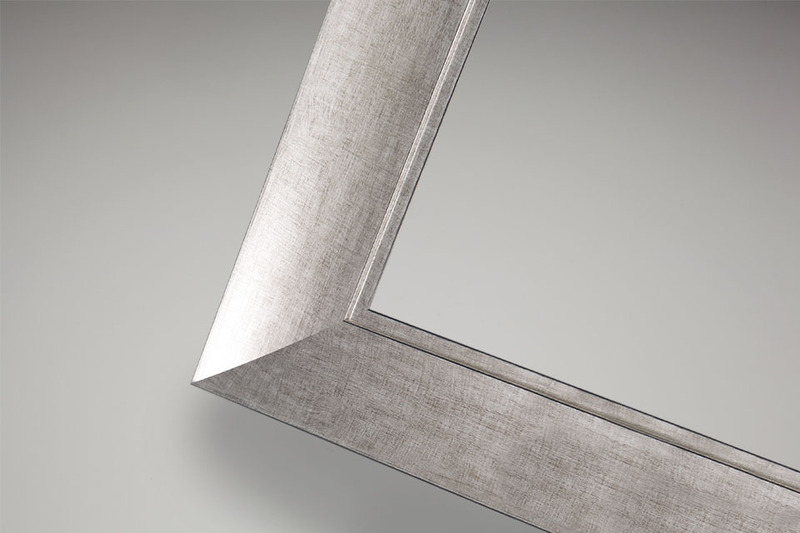 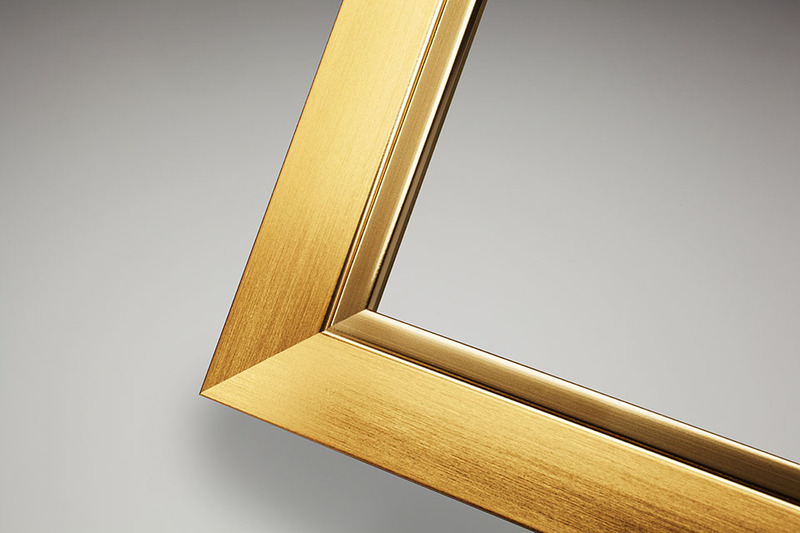 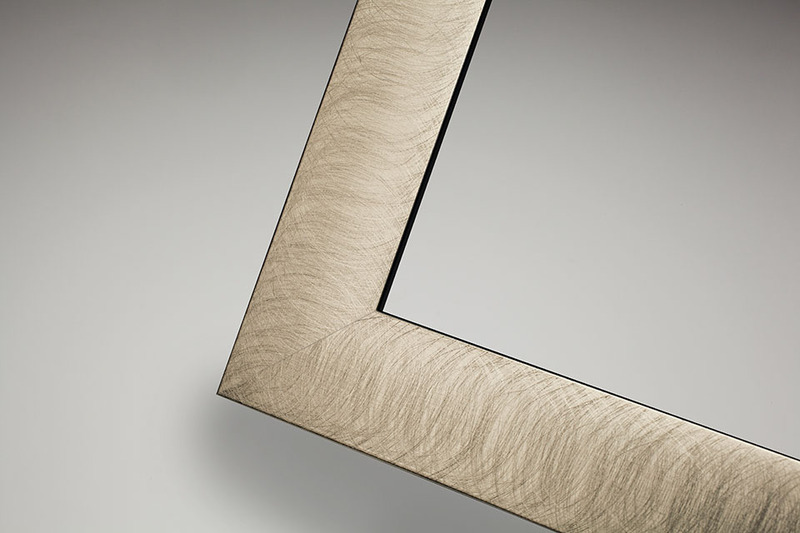 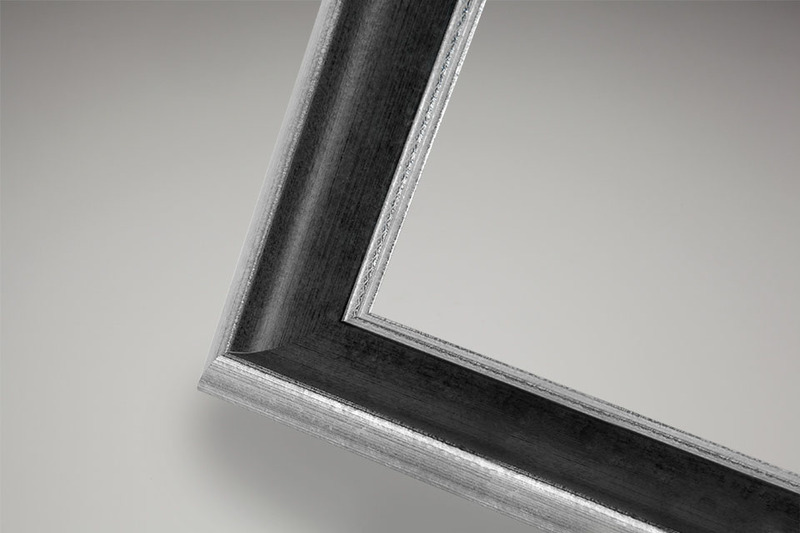 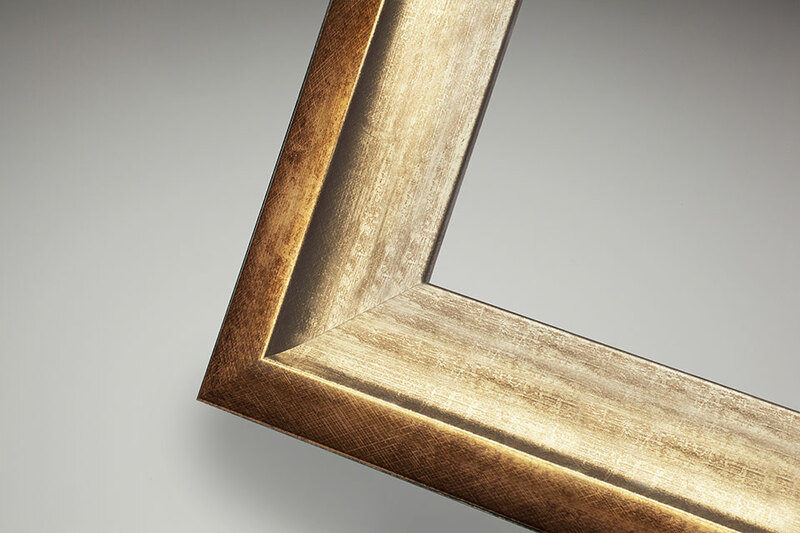 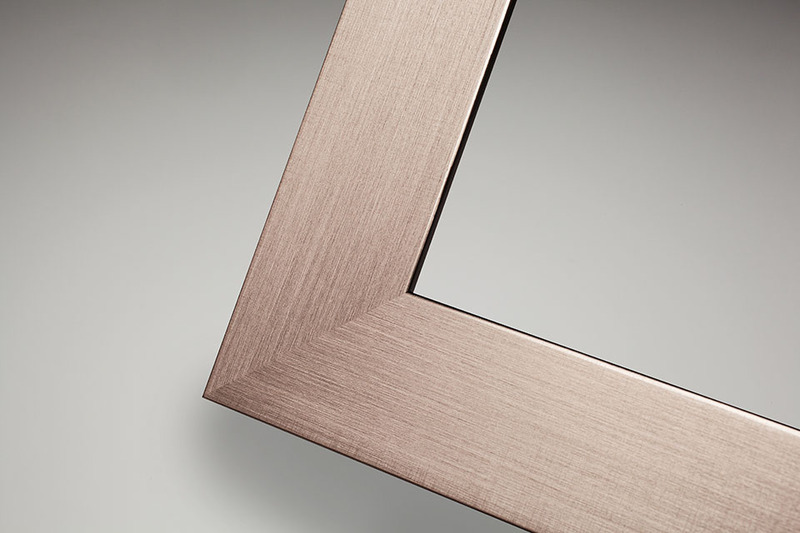 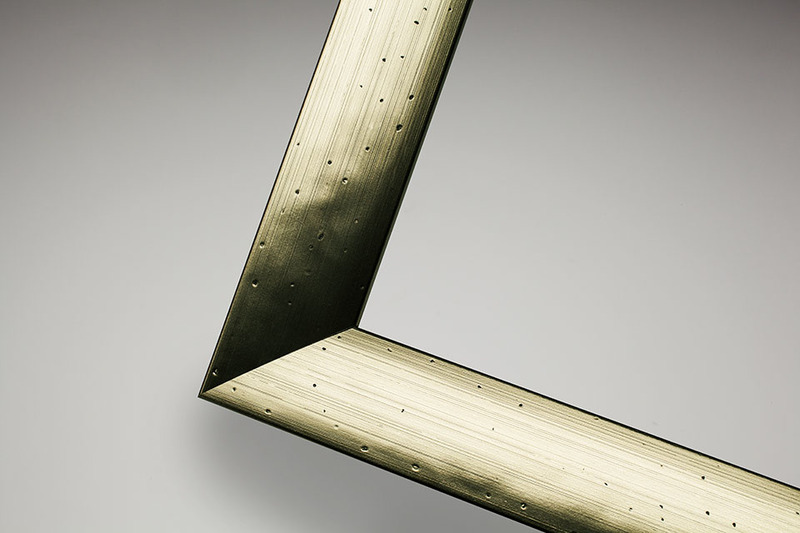 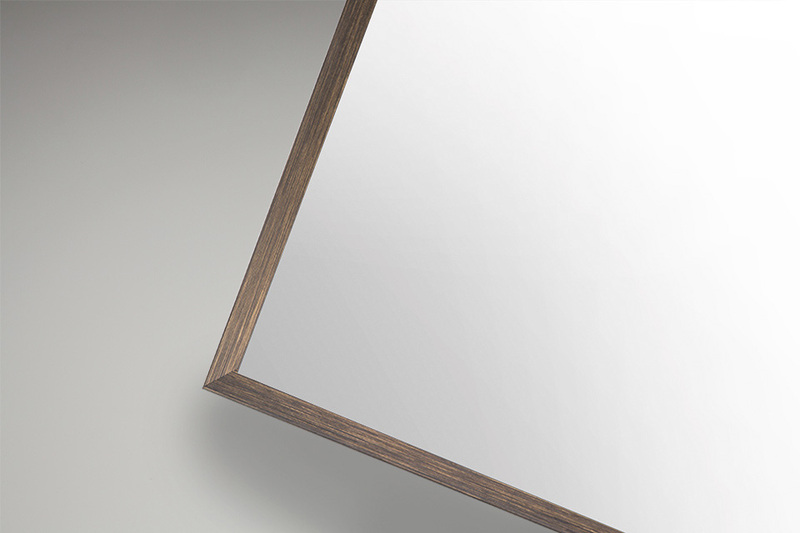 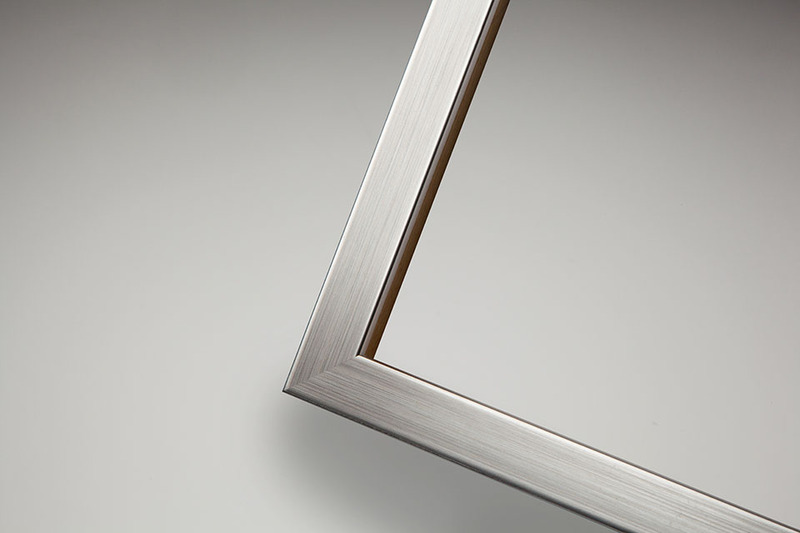 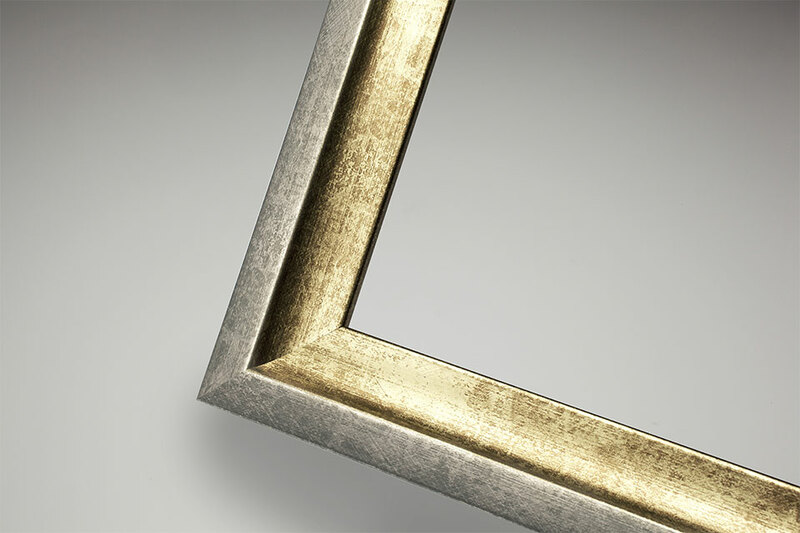 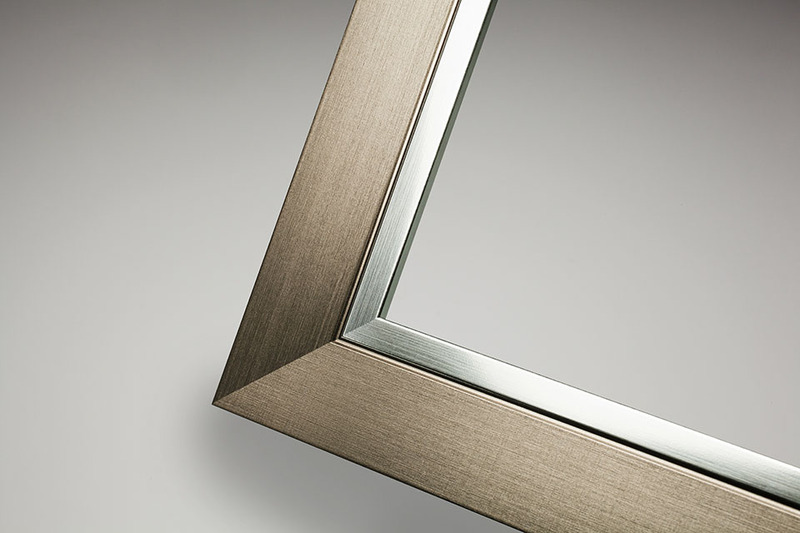 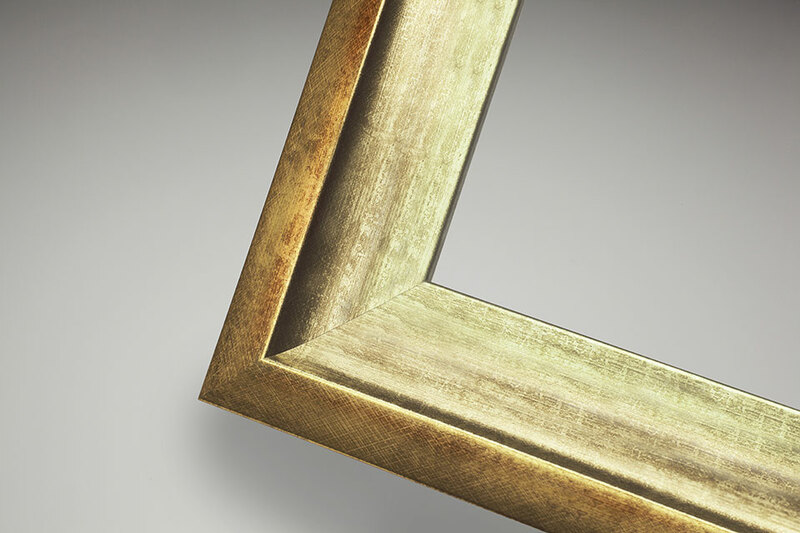 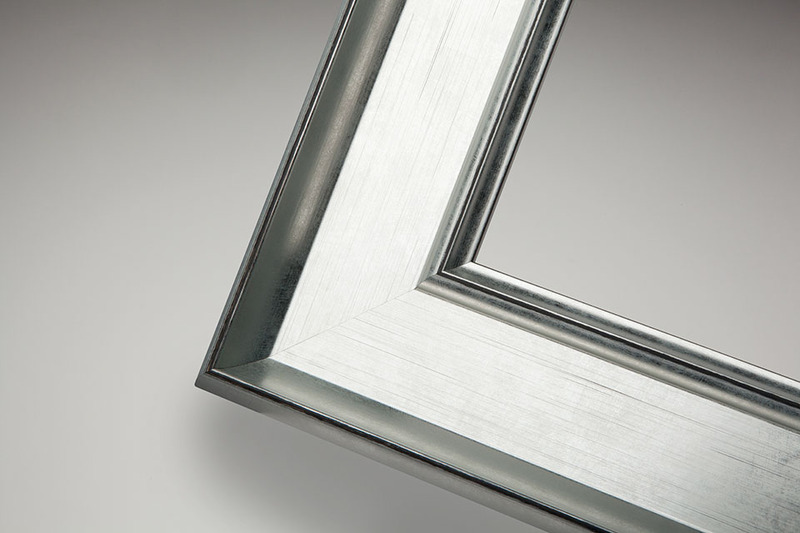 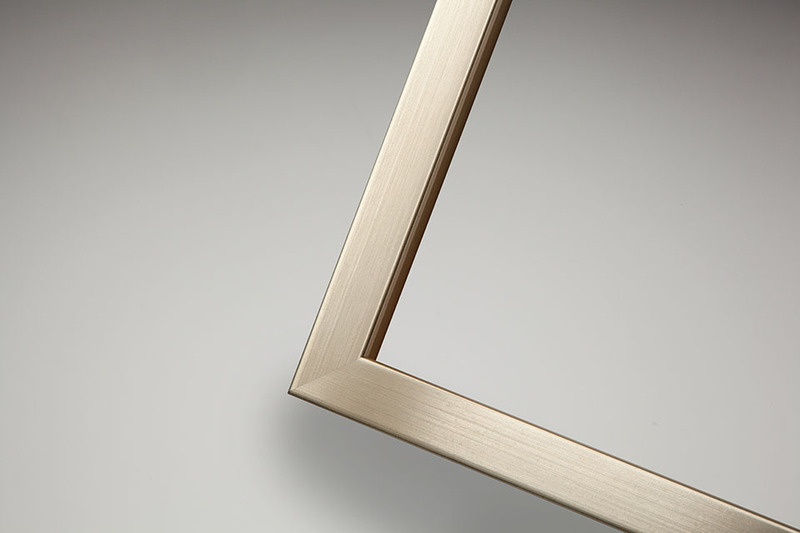 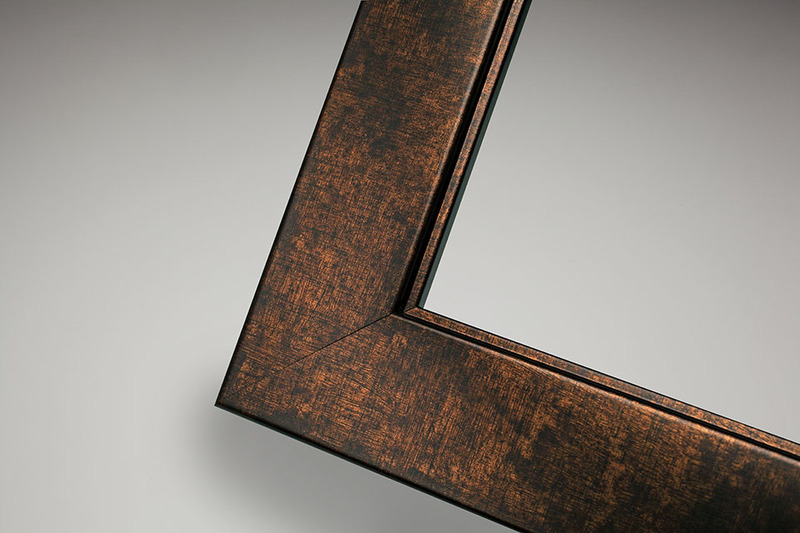 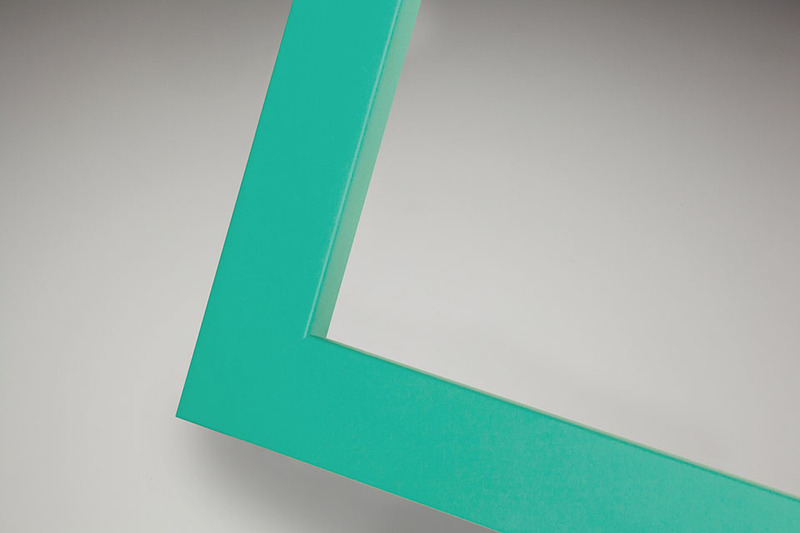 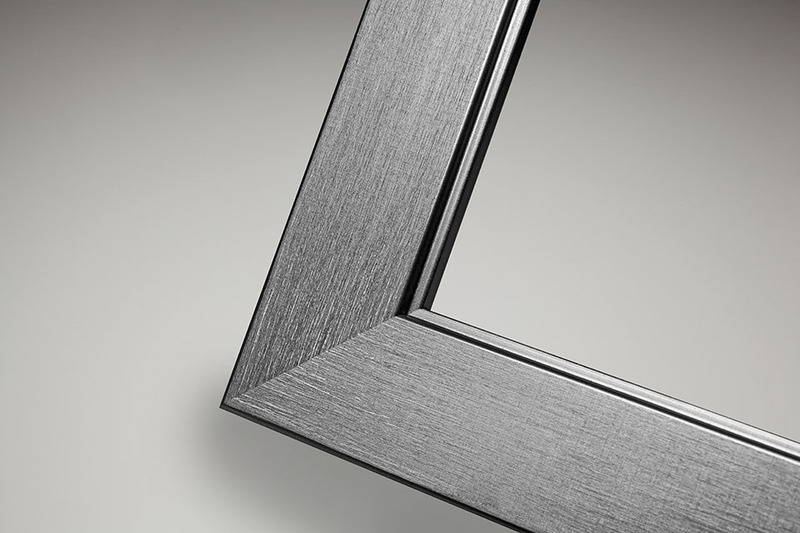 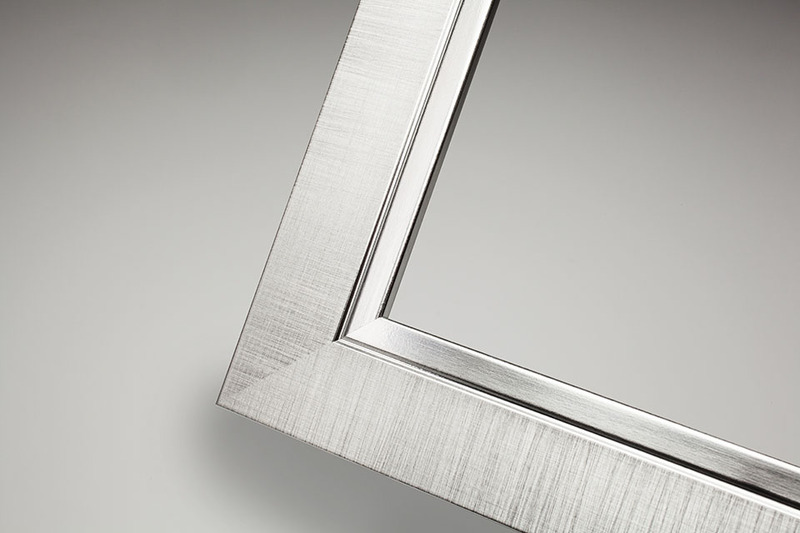 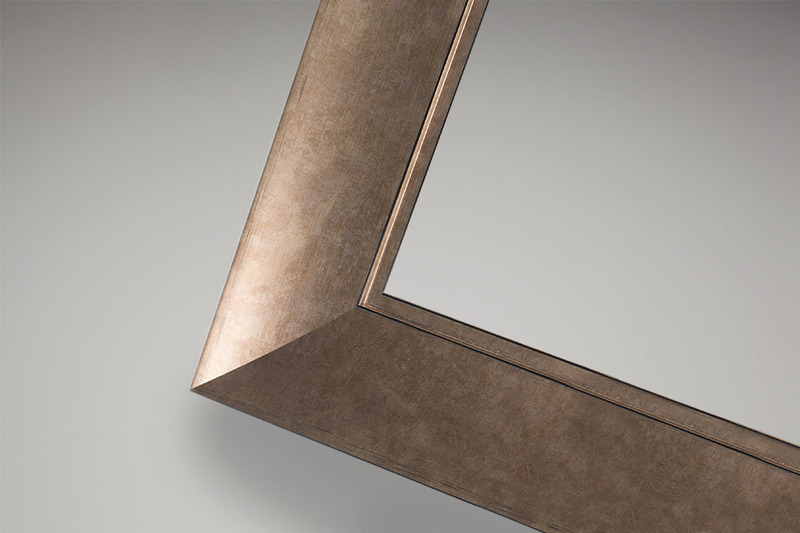 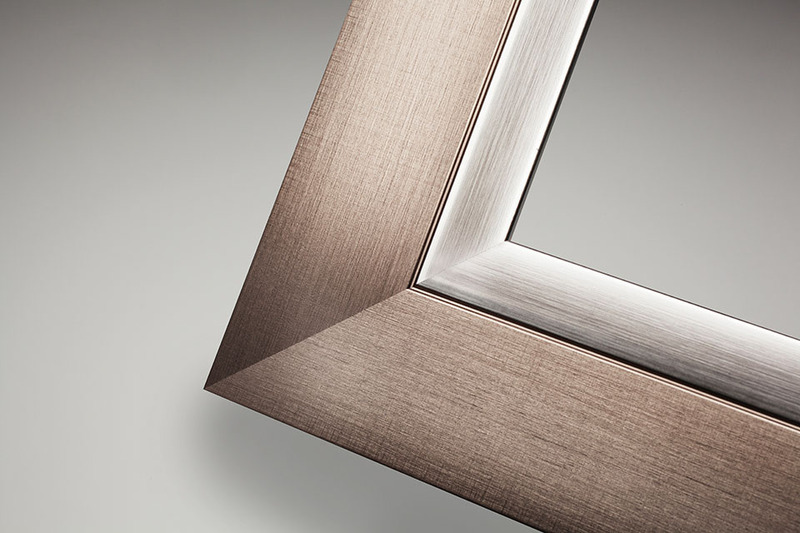 Show off unique style with the delicate hatched bronze or hatched pewter with the 60mm (W) × 22mm (D) Frame 106. 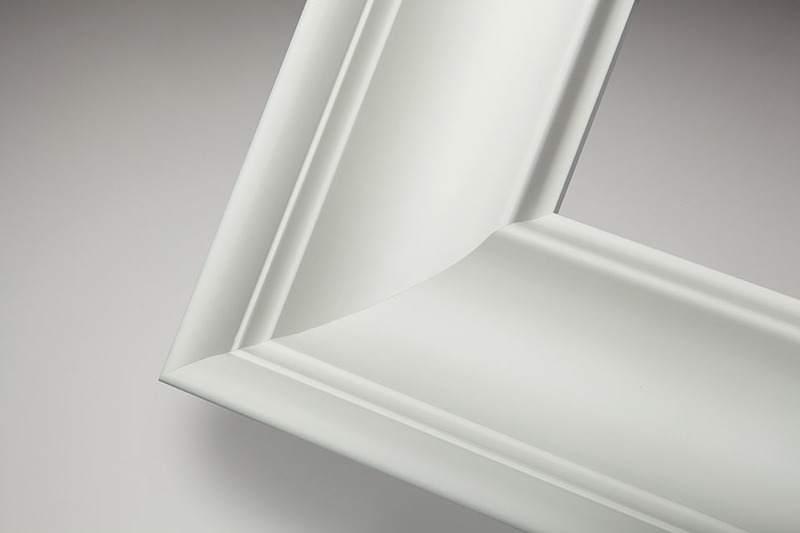 Add a touch of elegance in a choice of popular mouldings. The 53mm (W) × 20mm (D) Frame 102 is available in a range stylish colours including oak and gunmetal. 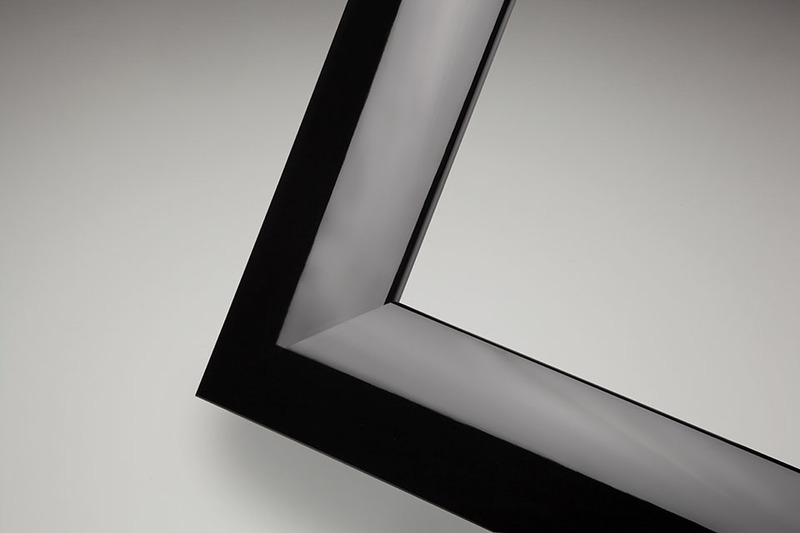 Modernity meets minimalistic with the Monochrome Apex moulding. 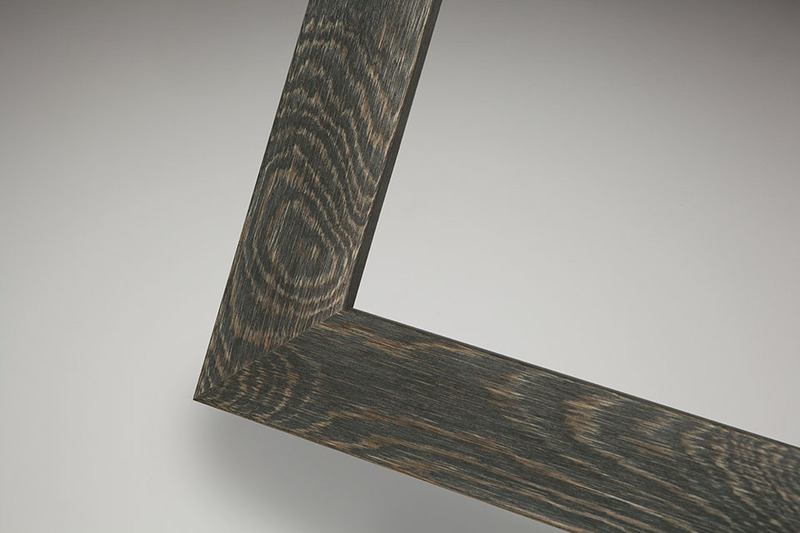 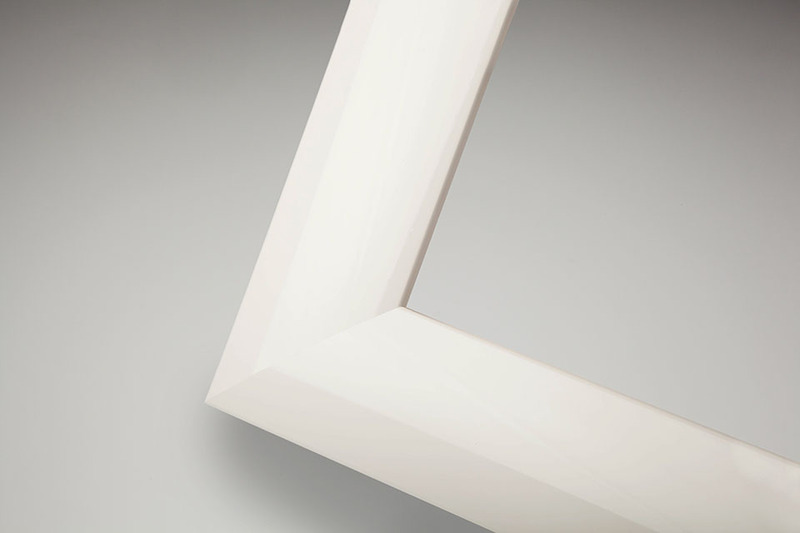 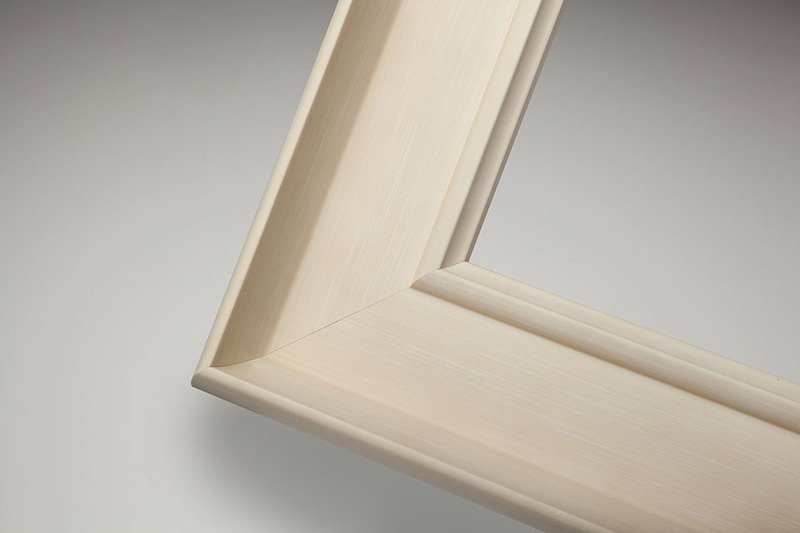 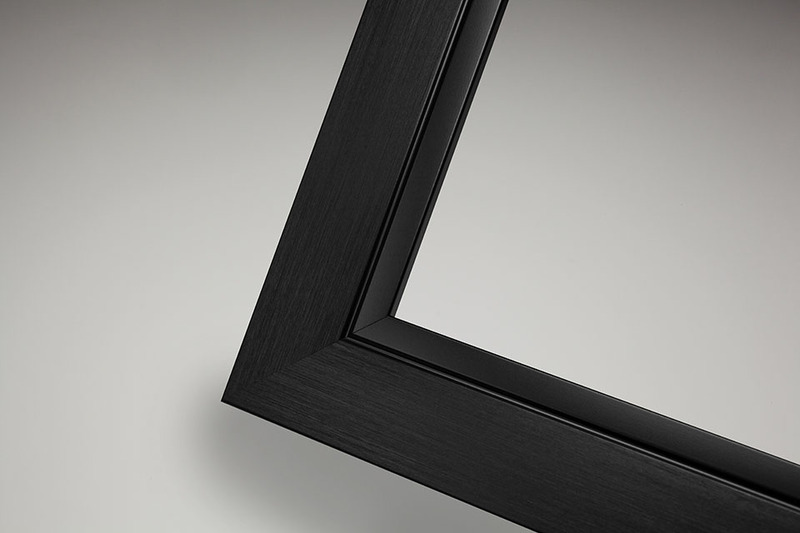 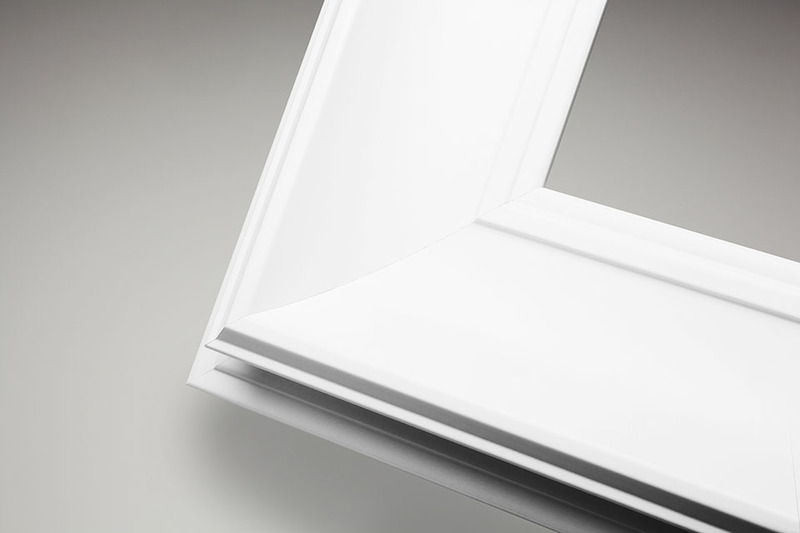 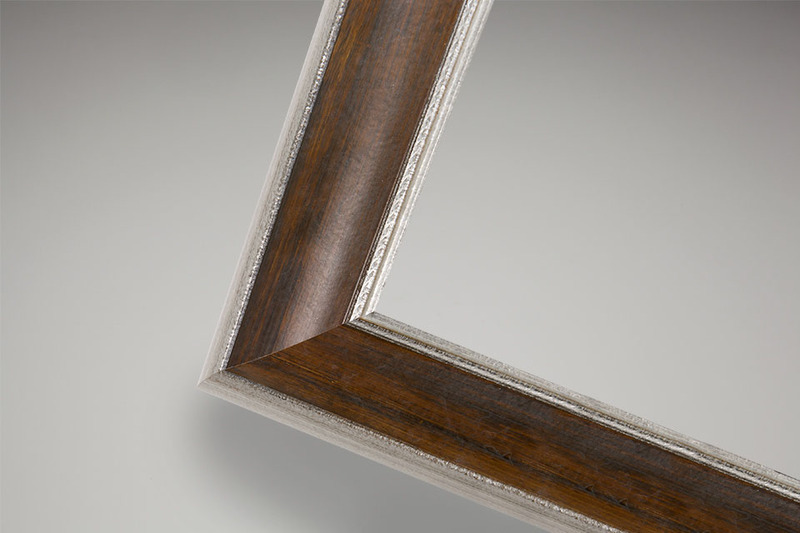 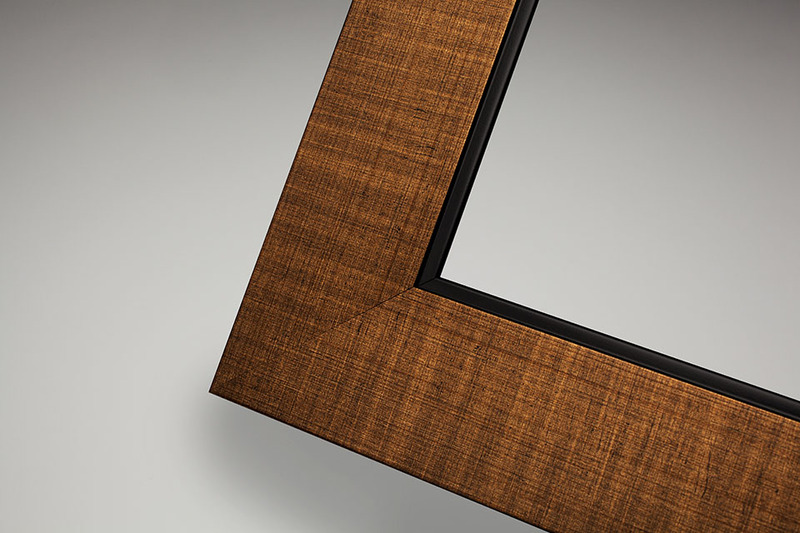 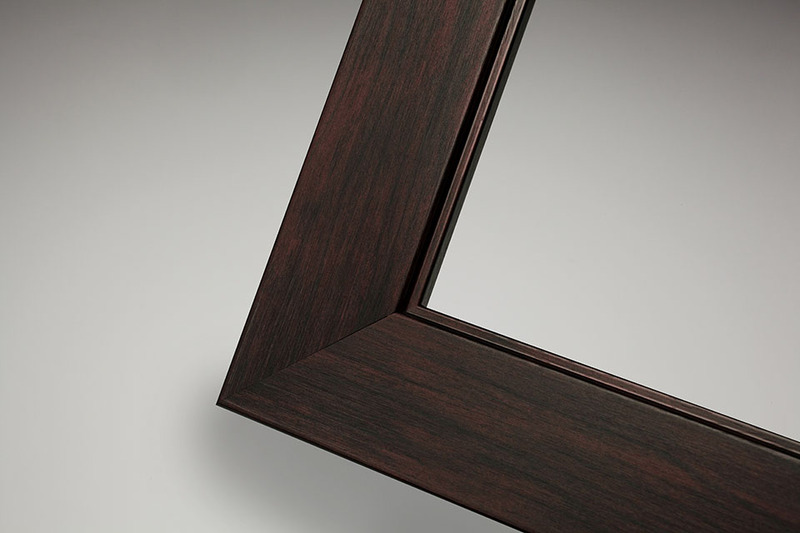 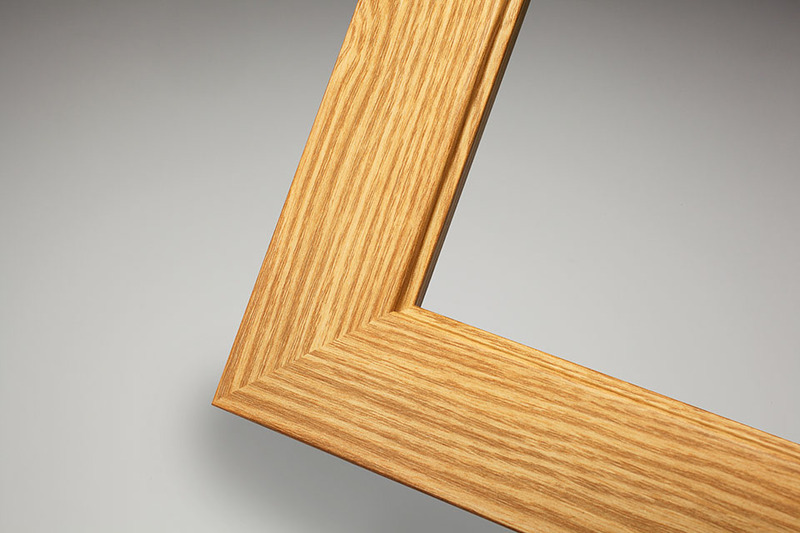 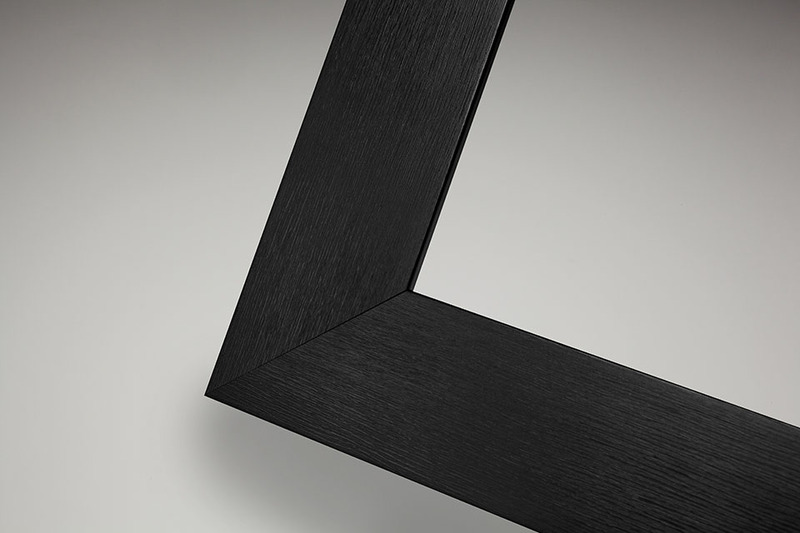 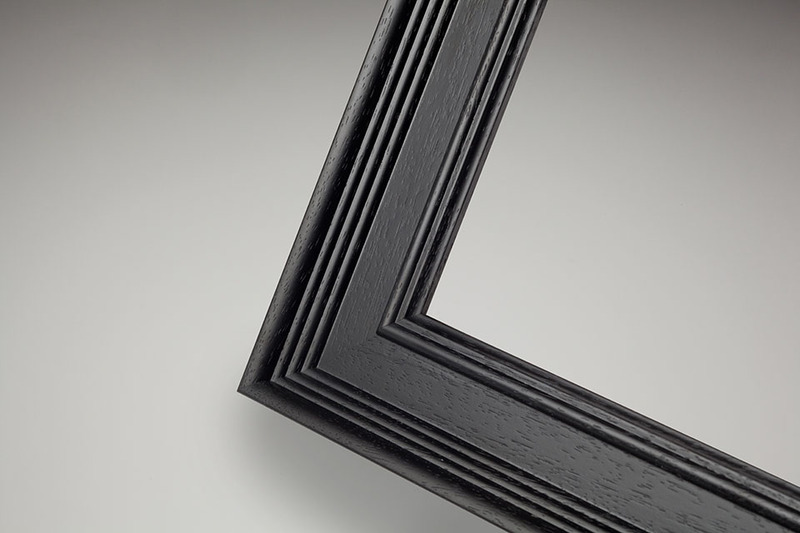 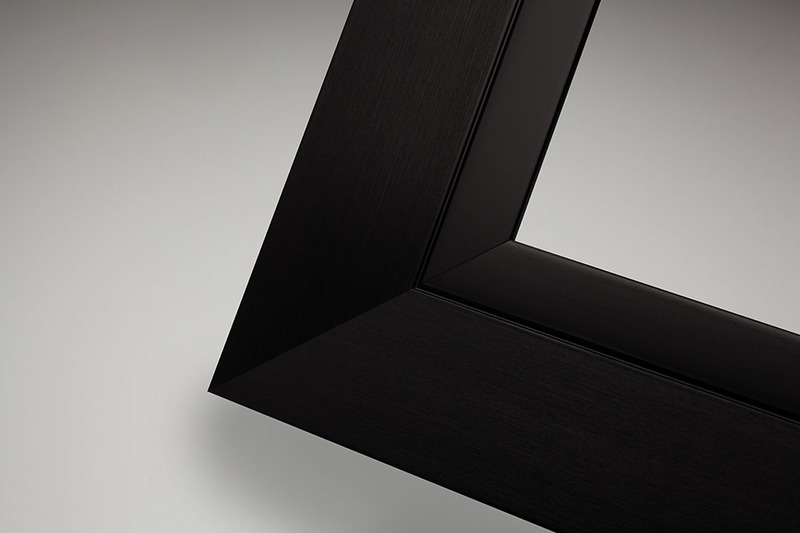 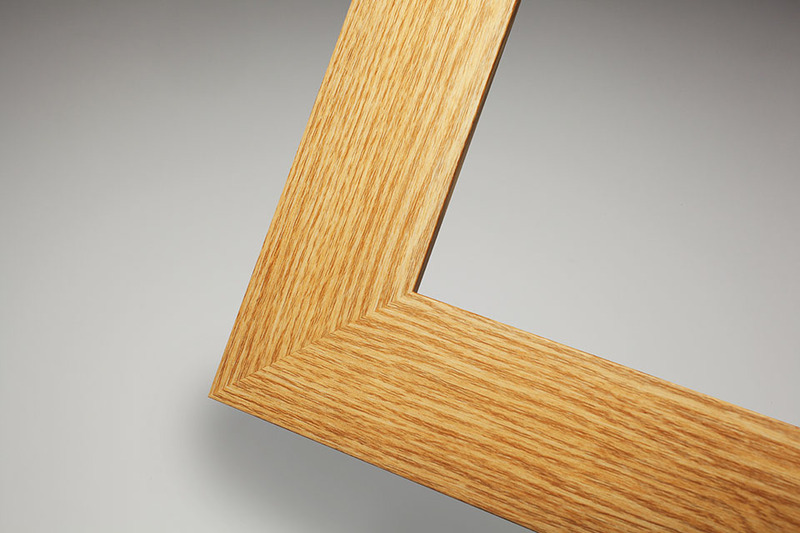 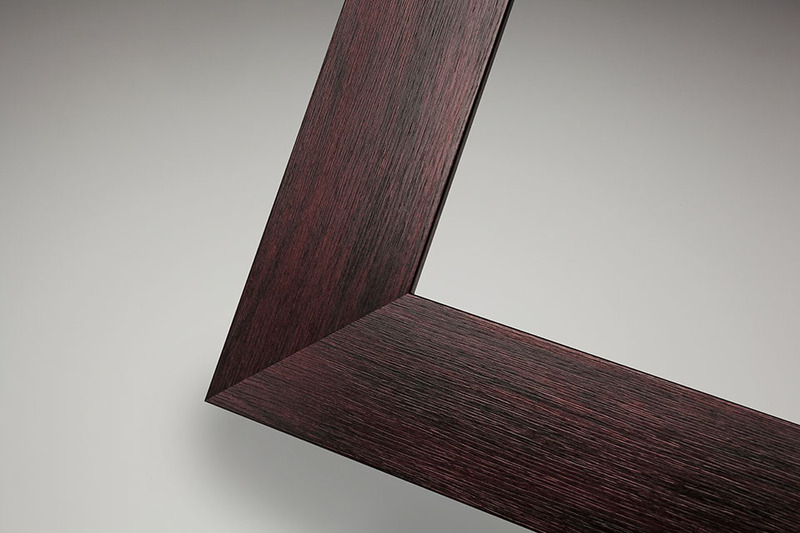 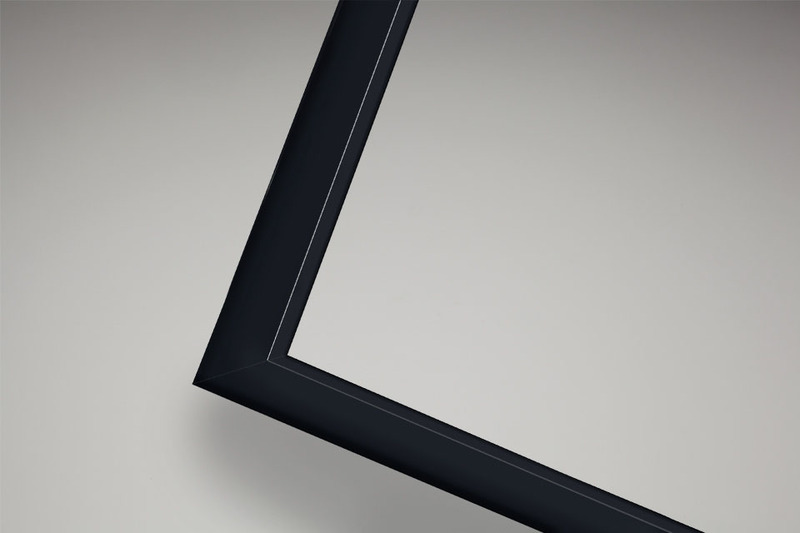 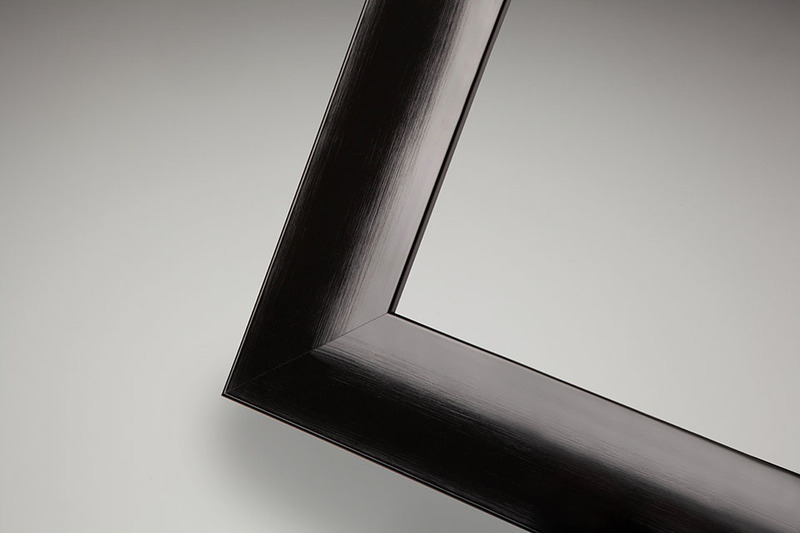 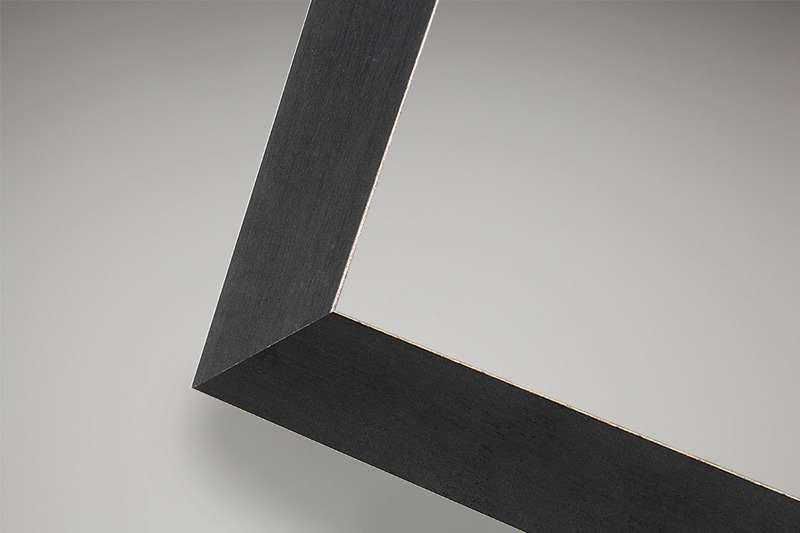 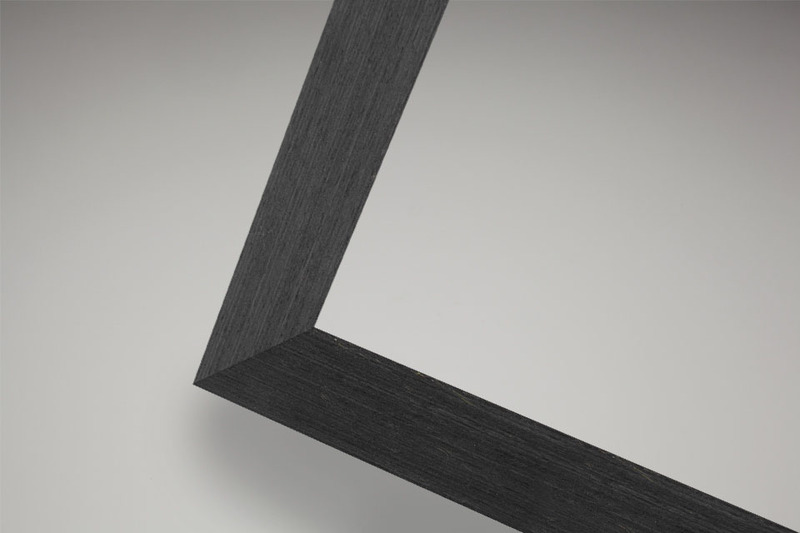 The straight edges of the frame are complemented by the subtle bevelled edge that runs around the inner edge of the moulding. 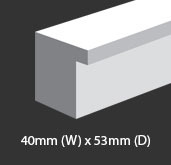 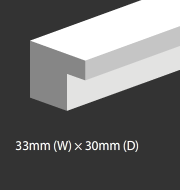 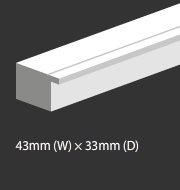 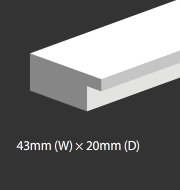 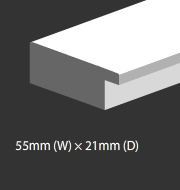 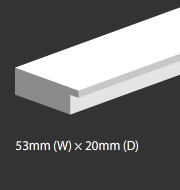 The 31mm (W) x 43mm (D) is available in a gloss black finish. 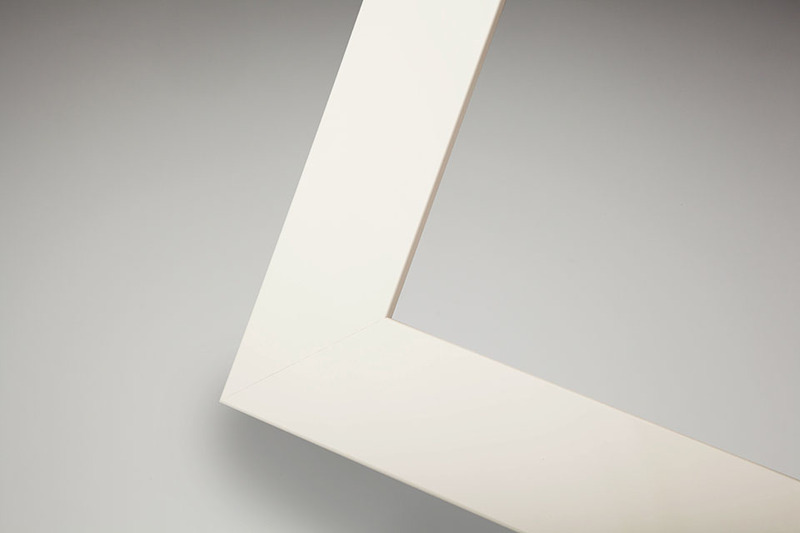 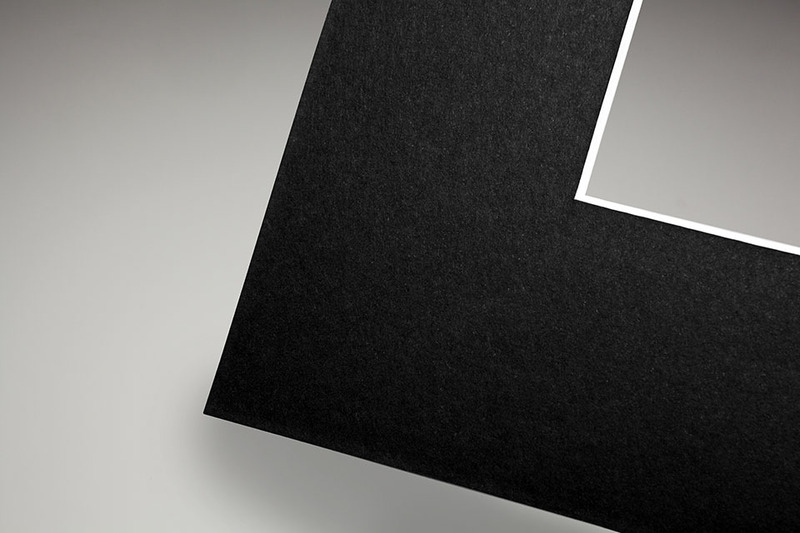 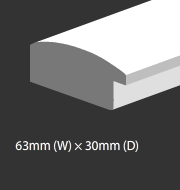 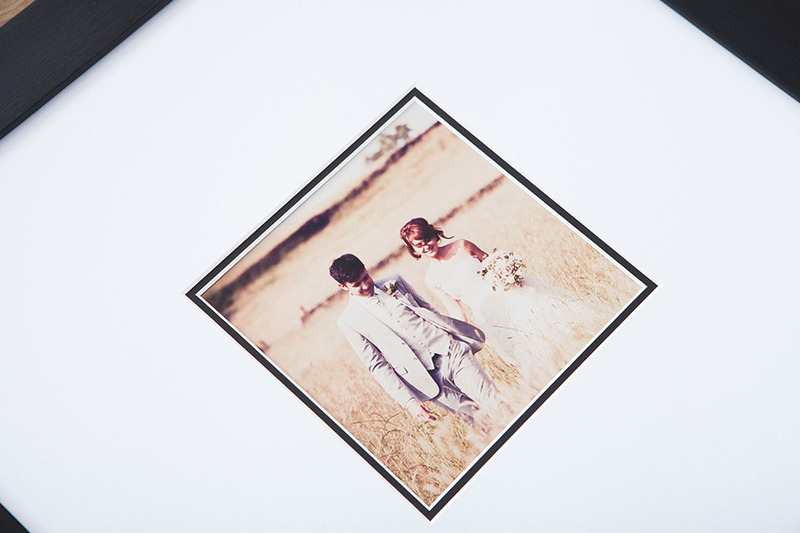 Add high gloss monochrome style to photography with this 63 mm (W) x 30 mm (D) curved gloss contemporary frame. 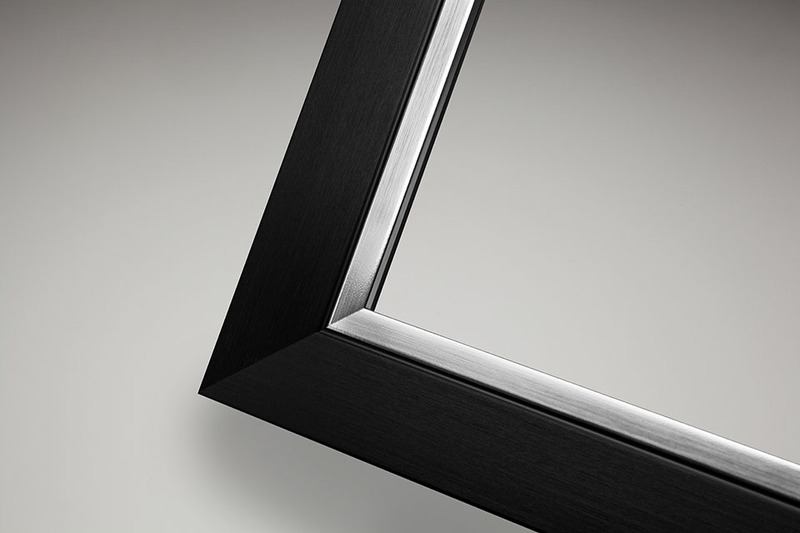 Striking high gloss and a flat finish combine to create elegant monochrome style in this 55 mm (W) x 21 mm (D) contemporary frame. 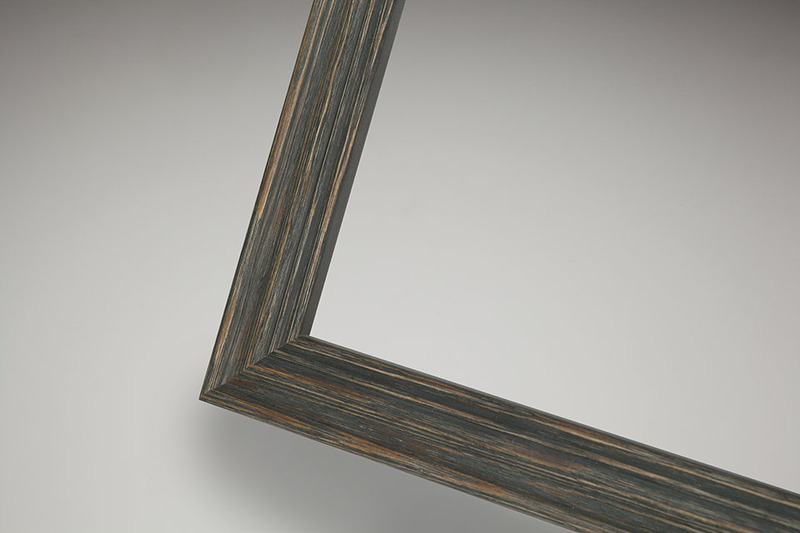 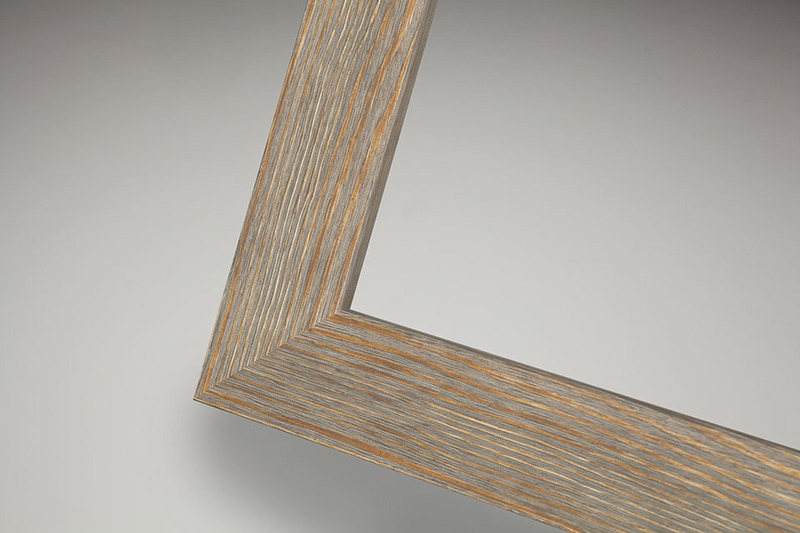 Add subtle natural tones and natural styling with this 66mm (W) x 20 mm (D) contoured wood lifestyle frame. 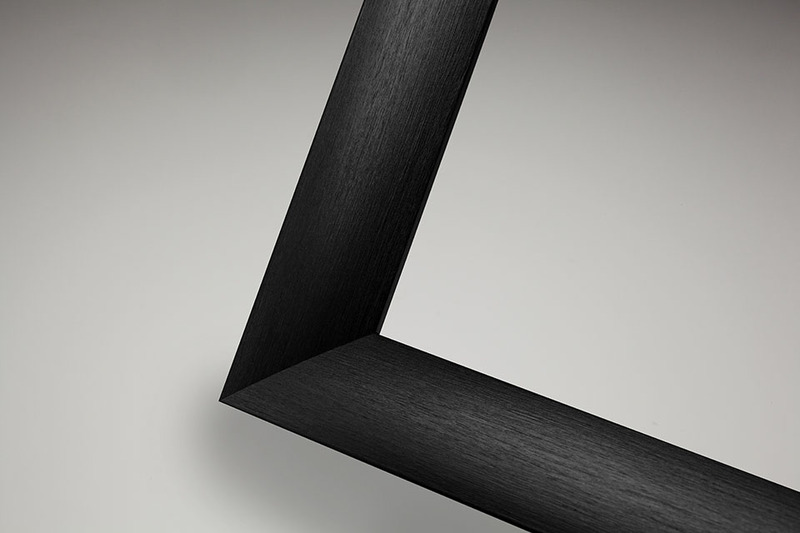 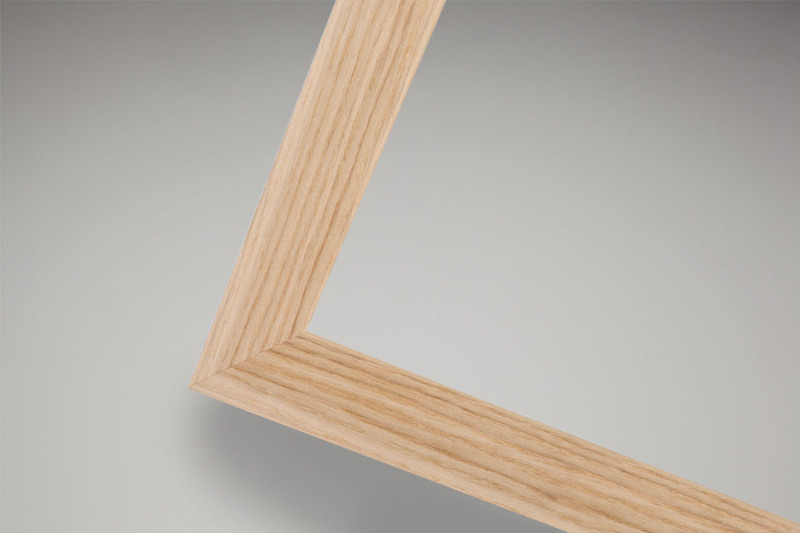 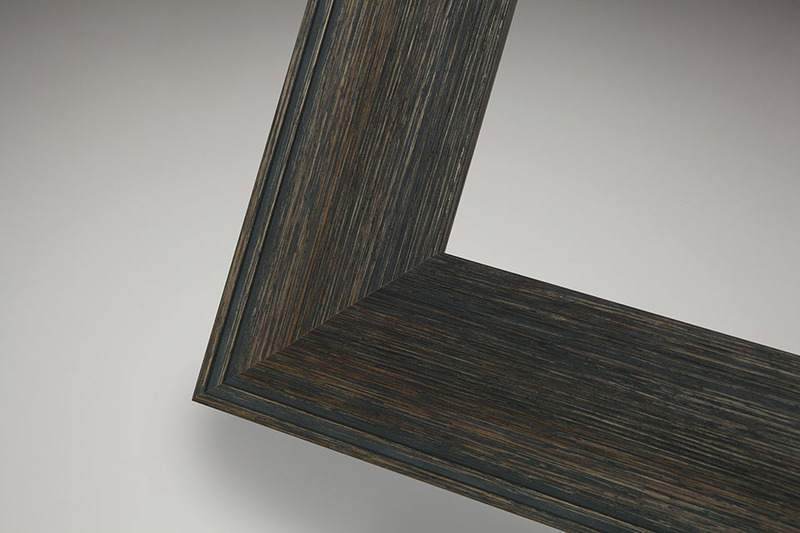 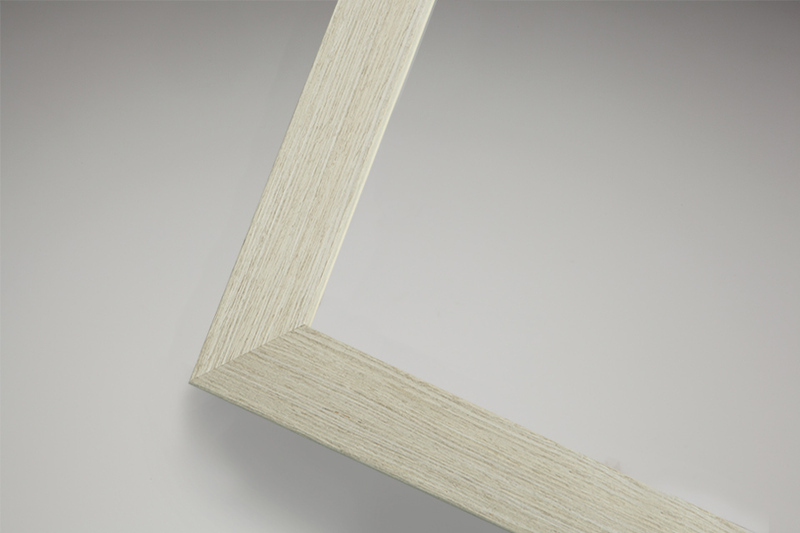 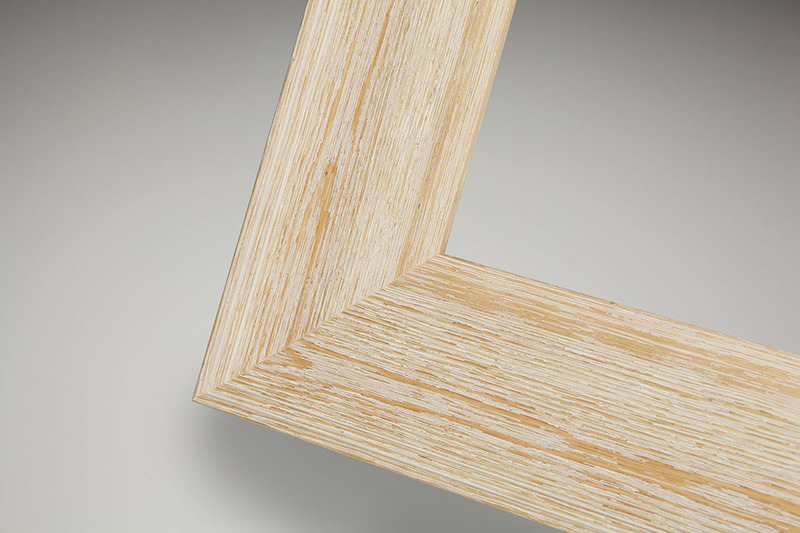 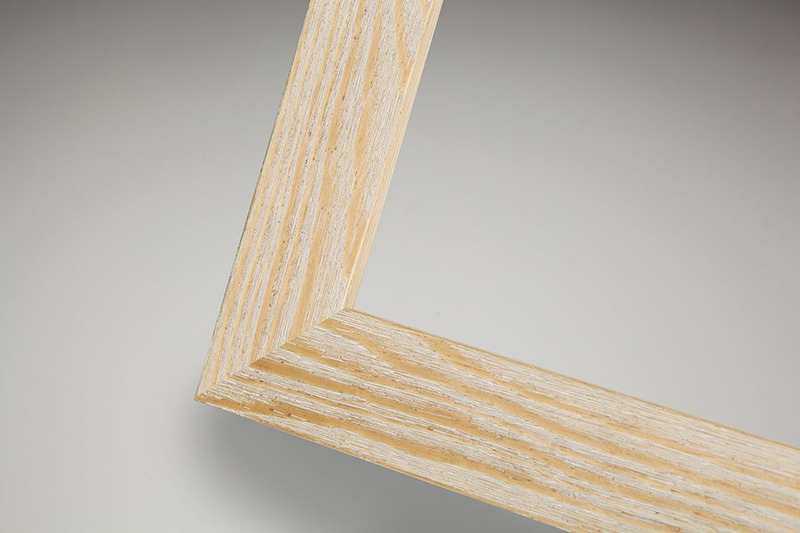 Create a laid back style with delicate, subtle tones with this 30 mm (W) x 20 mm (D) flat wood lifestyle frame. Enjoy natural styling and delicate, subtle tones with this 43 mm (W) x 20 mm (D) flat wood lifestyle frame. Coordinate or contrast with the 43mm (W) × 33mm (D) Frame 104. 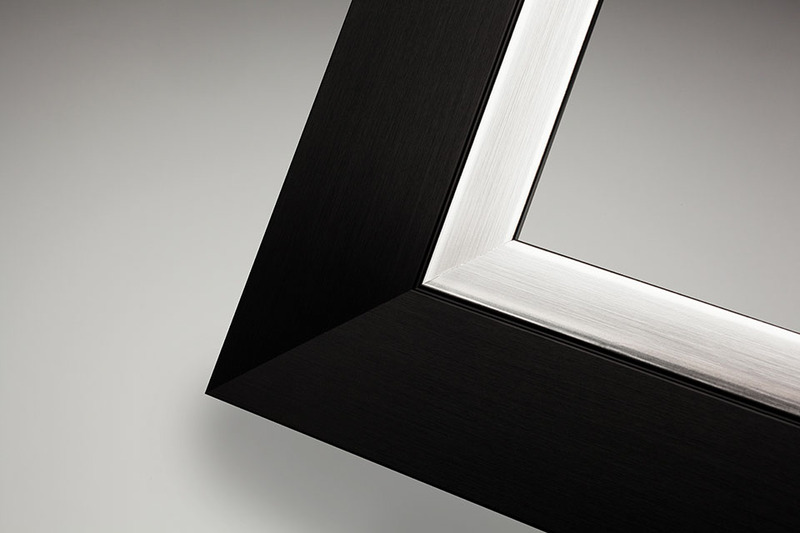 Choose from a range of colour options including black and silver combinations. 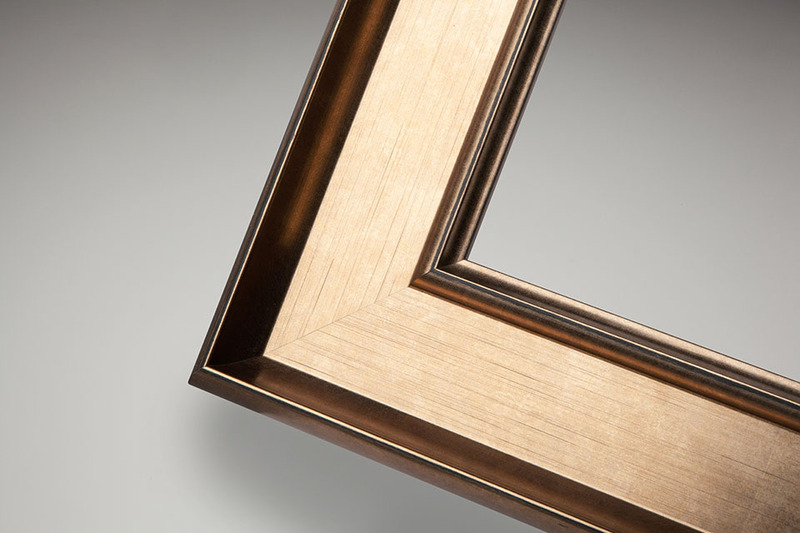 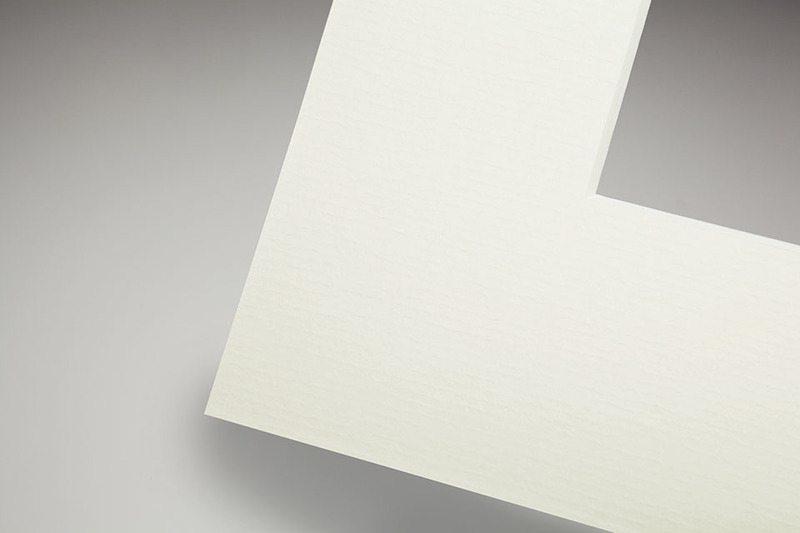 Create a substantial framed print product with the 77mm (W) × 24mm (D) Frame 105 in a choice of five lustrous moulding colours. 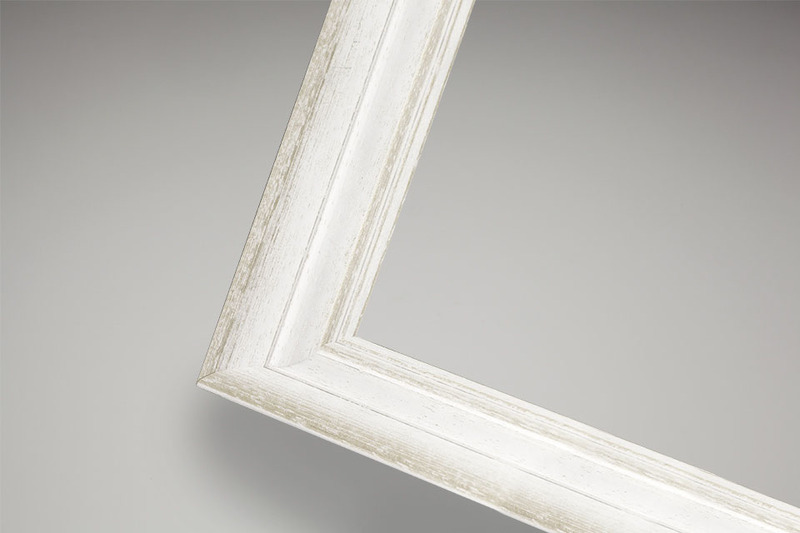 Add a touch of Regency era vintage style with this 70mm x 38mm wooden based frame. 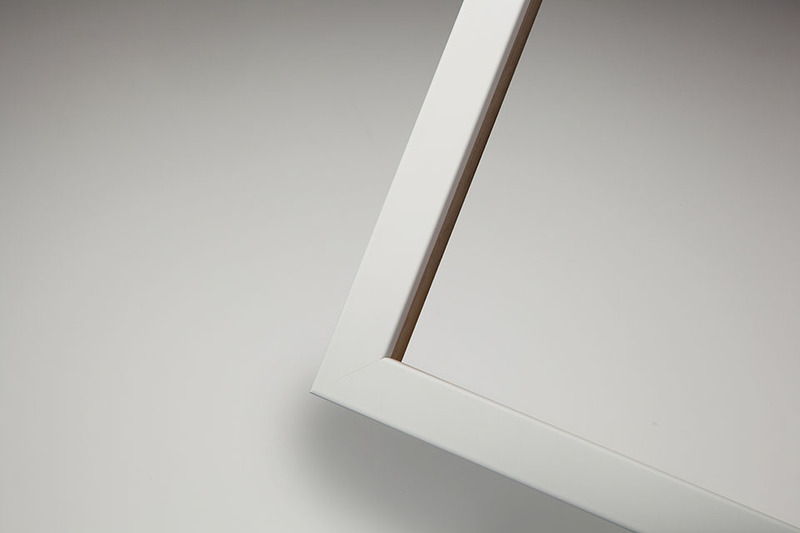 Available in seven appealing colours, this elegant look is completed with a matching desk frame. 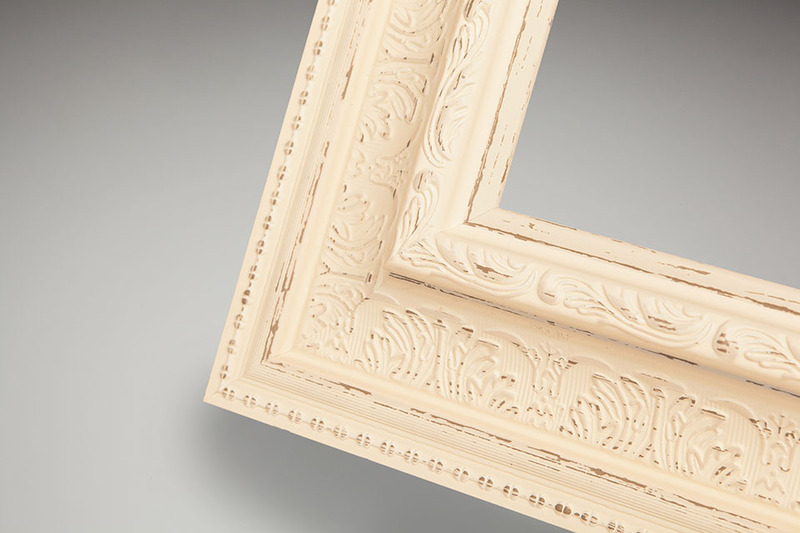 Add decadence and glamour with this 85 mm (W) x 42 mm (D) elegantly detailed vintage style frame. 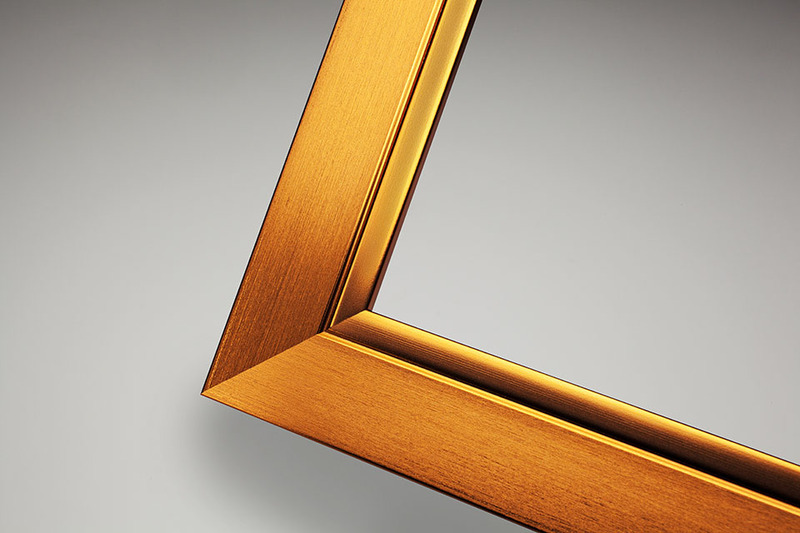 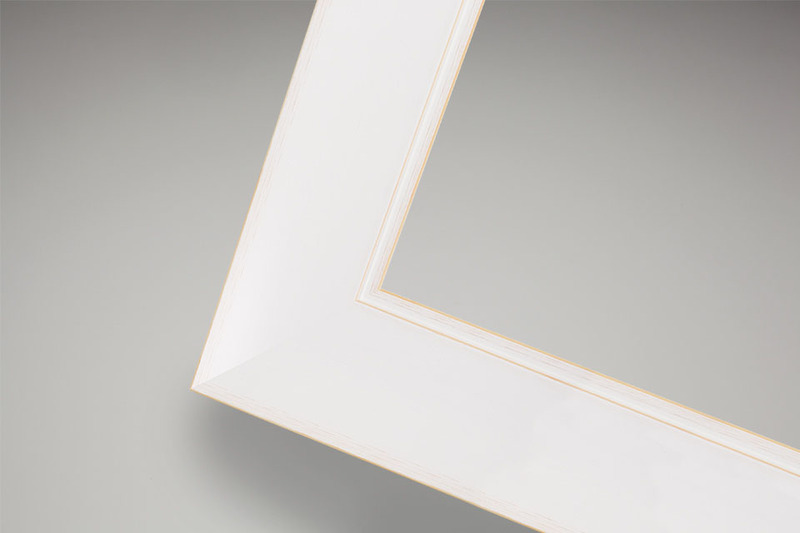 Frame your photography with a subtly rounded frame in a range of stylish colours. 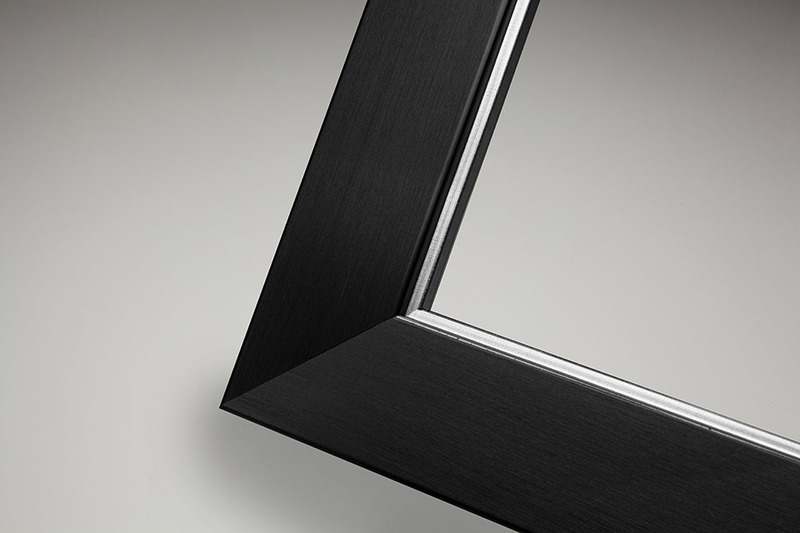 The 39mm (W) × 41mm (D) Frame 101 is available in popular colours ranging from sleek black to punchy pewter. 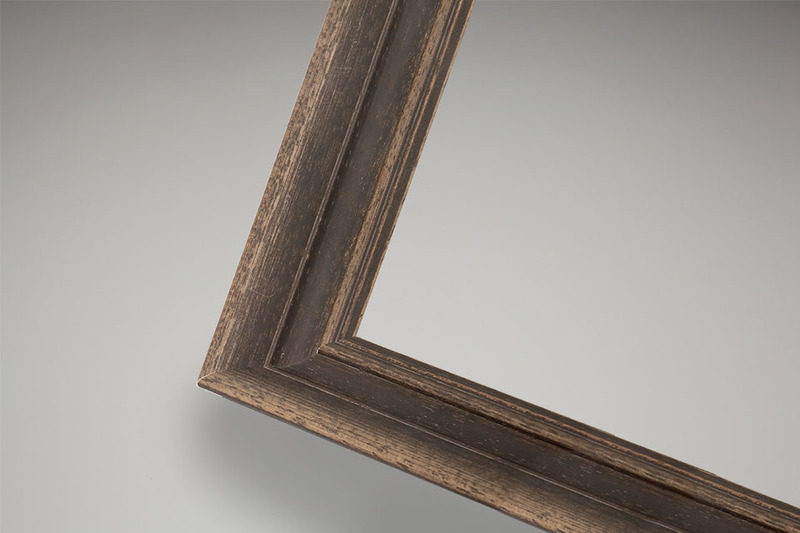 Seek sanctuary in this deep wooden 34mm x 20mm frame collection featuring a 30mm rebate for added depth, available in eight contemporary colours. 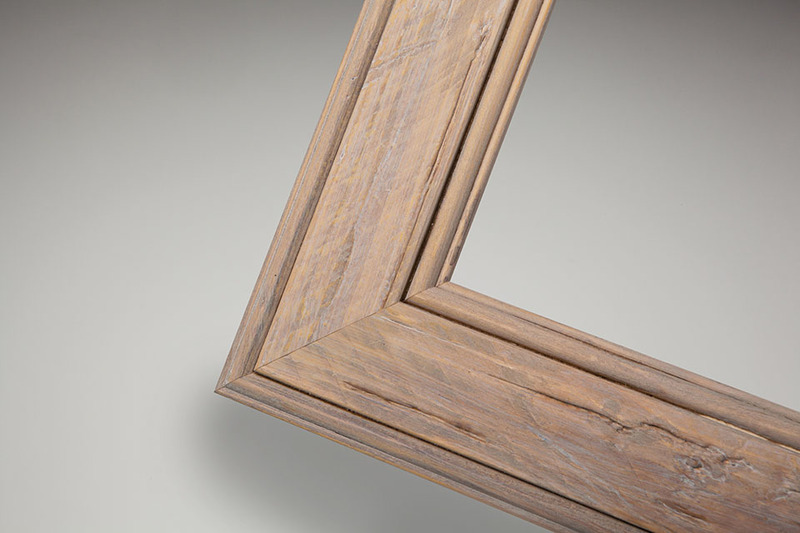 Combining everlasting and classic appeal, the Thatch moulding effortlessly combines vintage style with aged colour and a smooth wood finish. 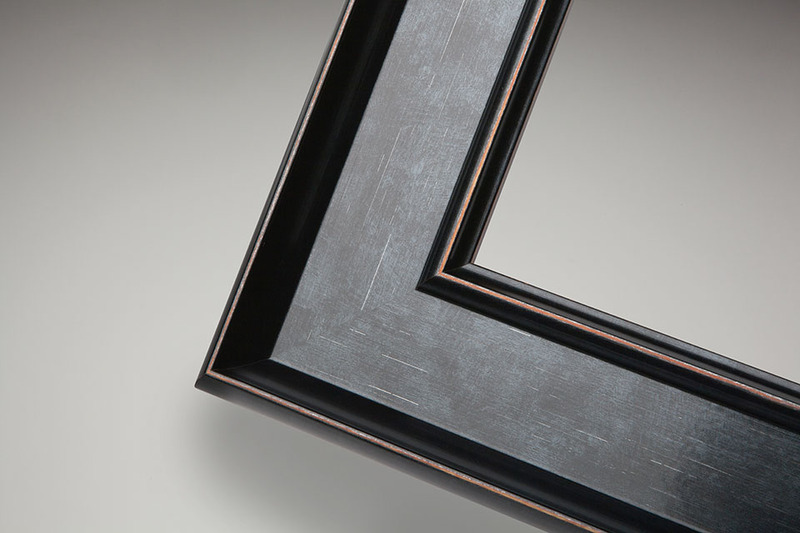 The 60mm (W) x 39mm (D) frame comes in 3 colourways of whitewash, dark almond and charcoal.